On the auspicious appearance day of our Poorva Acharyar Sri Sri Annavillapan Swamy of Mudaliandaan lineage(the foremost acharyar after Sri Mudaliandan )-“THIRU MAASI KETTAI”, adiyen prostrates to the lotus feet of asmath acharyar to grace me with the knowledge of sharing our recent pilgrimage to the places connected to Lord Vittal Pandurangan’s devotees. Adiyen is greatly indebted to His Holiness Sri Sri Muralidhar Swamy who personally visited all the places and telecasted the same in Vijay T.V. as “Veedu Thedi Varuvan Vittalan”. The craving to visit these holy places finally fructified after 2 years. Adiyen used to read “Maha Bhakta Vijayam” –a compilation of stories of various devotees ,especially Lord Pandurangan devotees and used to cherish them. However the T.V.program induced the desire and confidence to visit these holy places personally. Adiyen with family planned to first take the blessings of the famous devotees of Lord Pandurangan popularly known as Lord Vittaljee in Maharashtra before having HIS darshan at Pandharapur. We visited the places sanctified by Sri Bhanudasar, Sri Janardhan Swamy, Eknath Maharaj, Jnaneswar, Tukaram Maharaj, Namdev, Chokamela,Sakkubai, Jaanabai, Gora Kumbar, Kurmadasar, Sant Savanta Mali in this yatra. A brief note about the places is mentioned at the end of this writeup. Though we had darshan of this holy dhaam twice we wanted to have darshanam of all the mahasants before we seek the LOTUS FEET of Shri Vittaljee. We proceeded to Aurangabad from Secunderabad on 5th March night by Narsapur-Nagersol Express and reached Aurangabad at 6.30 A.M. on 6th morning. Keeping Aurangabad as base, our itinary was to visit the great santh Sri Sri Janardhana Swami mandir in Dhaulagiri, Santh Eknath temple in Soolipanjan where he meditated for 12 years, then proceed to Prathistanapuram(Paithan) and visit Eknath Maharaj’s house, his Divya Samadhi mandir on the banks of River Godavari, Naag ghat where Santh Jnaneshwar Maharaj made a buffalo recite Vedas, visit Aape Gaon-the birth place of Santh Jnaneswar and Nevasa-where Santh Jnaneswar wrote Bhaavartha Deepika-the Marathi translation of Srimad Bhagavad Gita. These places are in different routes. Dhaulagiri, Grushneshwar and Soolipanjan are in “Aurangabad-Dhauladabad” route, Paithan is on the southern side of Aurangabad, Aape gaon and Nevasa are in “Aurangabad-Pune” route. To visit all these places and to be dropped at Nevasa bus stop, we had finalized a cab Indica for Rs.3000/- by contacting Mr.Mahender(07387900950) who operates M/s Sai Baba Travels in Aurangabad . Mandir up the hill and finally the Samadhi (resting place ) of Sri Janardhana Swamy at the mountain peak. The driver who was ready to pick us up from Aurangabad station took us to a nearby hotel for refreshing ourselves. The lodge charged 300/- for one hour and Rs.50/- for providing hot water. Mr.Mahender called up saying that he would arrange a devotee-driver who was very familiar with all these places. Aurangabad is a tourist centre with more monuments and sight seeing and so the drivers are familiar with only such places. We need to ensure that we get a good devotee driver who is aware of the temples in Paitan, Dhauladabad, Nevasa, Aape Gaon. Somehow Vittaljee took care of our itenary in HIS divine way ..
We proceeded chanting the juicy mantra JAI JAI RAMAKRISHNA HARI …All through the drive, we were listening to Vittal’jees abhangs and bhajans . The driver first took us to Dauladabad which is about 12 kms from Aurangabad. 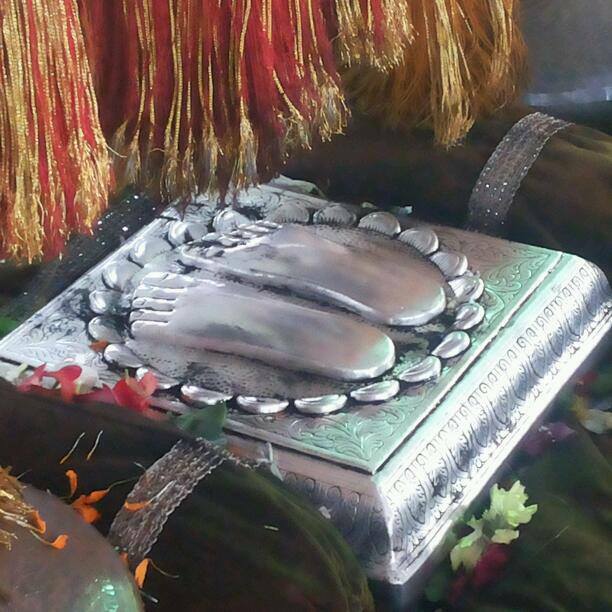 The holy footprints of Sri Janardhana Swami who was Eknath Maharaj’s guru is here up above the hill . Dauladabad Fort is a heritage monument and attracts many tourists everyday. The entrance ticket is Rs.5/- per person. We can see cannons and other military equipments, the fortress which guarded the kingdom, Bharat Mata temple, Chand Minar, Ganesh mandir. This fort has a sad past about the glorious Hindu kings .However we walked through the pavement surrounded by gardens for about 10 minutes and reached the foot of the hill which is like an entrance. From here, the ascent to the hill starts. Initially, the pathway is quite broad with big boulders on the way, we need to cross a narrow wooden bridge to gain entry into another hill. There are about 510 steep steps to ascend to the hill. At some places, the steps are very broad and at some places, there are steep steps about 2 feet high. The ascent is challenging especially when we have to enter into a pitch-dark caves where the path is very narrow ,uneven and the steps are very steep. This itself is known as “Andheri gate”. We were groping in the dark unable to find the way. Luckily, the flashlight in my daughter’s cell came handy and we managed to find our way. After crossing this, the ascent is comparatively easier with the roof open to the sky. Most of the tourists picnic here. It takes about 1.5 hours to reach the hill. On the way, there is a small temple for Vinayaka (Ganesh mandir). A lady who was taking care of the temple said that the cave we were seeking is very far and as we were totally exhausted, we half –heartedly decided to return. Suddenly an elderly person who was climbing very fast offered us help saying that he was also going to have darshan of Sri Janardhan Swami and encouraged us by sharing the pastimes. He said that it would take only 20 minutes from Ganesh mandir to reach the temple. This boosted our energy levels and continued our journey. 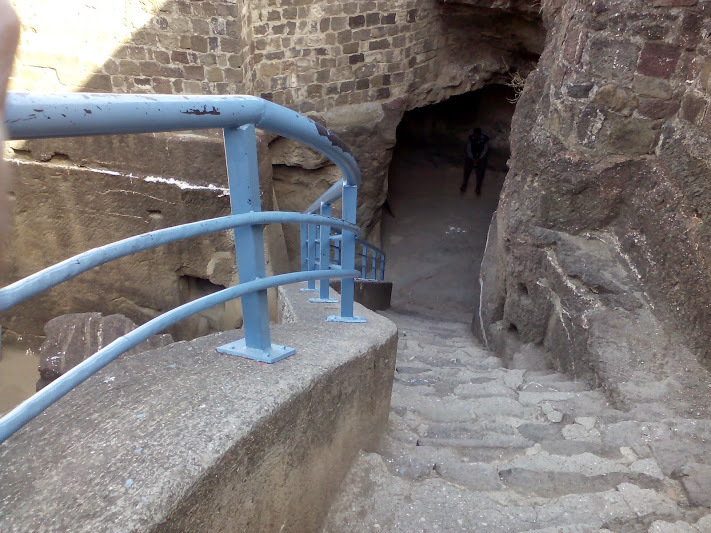 Beyond Ganesh mandir, a flight of steps leads us to a mantapam from where we can have a bird’s view of the entire city. The cool breeze is soothing for the stress undertaken by us. Further ascent of about 20 steep uneven steps leads us to the mountain peak. We have to get down about 5 steps to enter into the cave where Sri Janardhana Swamy used to meditate daily and finally took Samadhi. 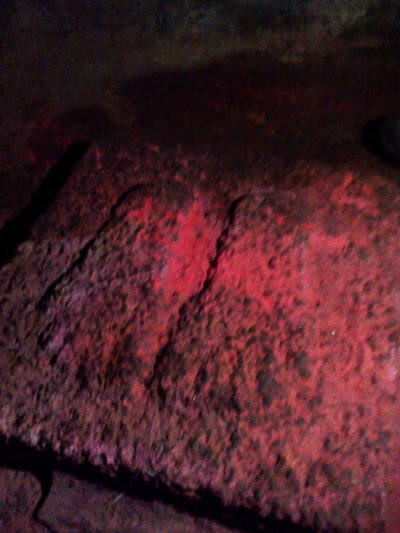 At the entrance , we find the words “Sri Janardhana Swami Samadhi” painted on the cave. 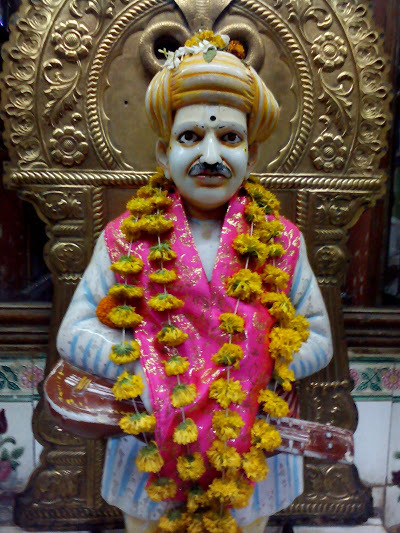 Eknath Maharaj, one of the foremost devotees of Pandurangan who is known for “Guru bhakti” served Sri Janardhana Swamy at this place for 8 years without expecting anything in return. The guru pleased with his services blessed him to have his diety, Sri Dattatareya’s darshan. While Eknath was returning from Godavari, Lord Dattatareyar (the embodiment of the Trinities-Brahma, Vishnu, Shiva who is seen holding the divine weapons and with 4 vedas as four dogs and dharma devathai as ) gave darshan . Eknath paid obeisances to the God and was as usual serving his guru with unperturbed mind and dedication. When questioned by his guru, he replied that his guru was “everything for him” and hence not excited having Dattatareya’s darshan. 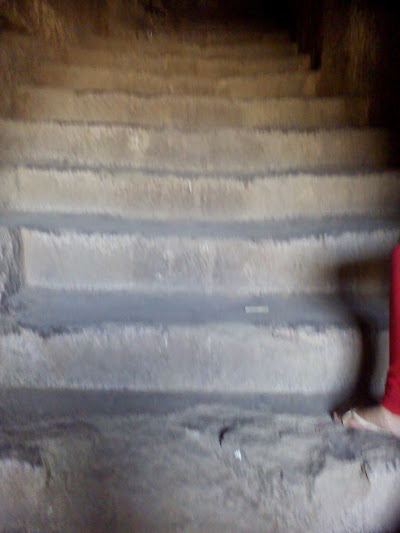 We entered the dark cave and on the left most corner , we can find the footprints of Sri Janardhana Swami. We Offered dry fruits to him and placing few Tulasi leaves prayed to him to bestow bhakti in us and bless to serve our acharyar forever. Profusely thanked the elderly person who guided us all through the trek, ( Was it Vittaljees leela ) especially the return trip when adiyen could not cope up with my daughter’s speed and had to cross the dark cave. It was as if Lord Pandurangan HIMSELF came to my rescue as I was all alone. That devotee patiently accompanied me all through the trek. Adiyen was amazed to note that I didn’t have the nagging knee pain which I usually get even if I ascend about 20 steps and was still energetic. While returning, we visited Ganesh mandir and finally reached the foot of the hills at about 11.30 a.m.
That elderly person guided me till I reached the foot of the hill and went away. The compassion of the Lord cannot be described in words. This incident enhanced my faith in the Lord manifold times . The Supreme Lord once again proved that HE is “bhakta vatsalan “ and “”aapath bhandhavan” . That person advised us to visit Grushneshwar-one of the 12 jyotirlingas before the temple is closed in the afternoon and then proceed to Soolipanjan which is about 10 kms from Grushneshwar. 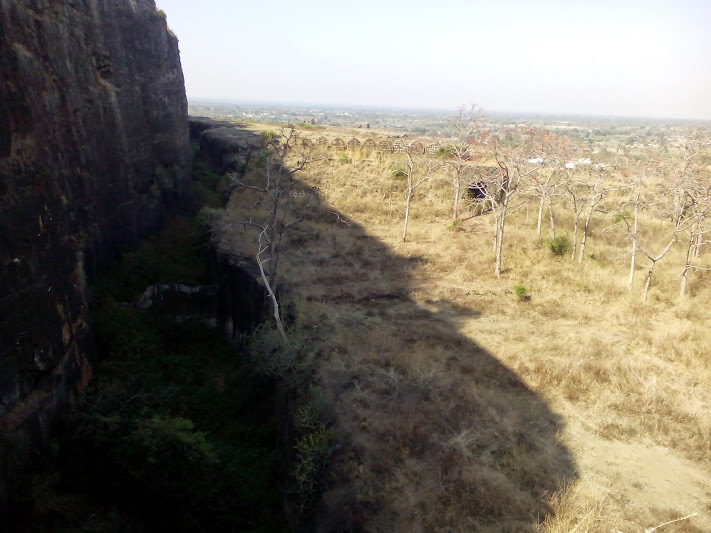 Grushneshwar is about 12 kms from Dauladabad Fort and about 4 kms from Ellora caves. After replenishing ourselves with sugarcane juice, we drove to Grushneshwar. Being Pournami, the temple was open and continuous abhishekam to ParamaShiva amidst chanting of Rudram and chamakam was pleasing . We offered bilva leaves, flowers, sweets to Lord Shiva -the foremost devotee of Lord Vishnu while few devotees were personally pouring milk and water on the Shiva lingam . Despite asking the driver to take us to Soolipanjan, he straightaway drove to Paithan which is about 84 kms from Grushneshwar and 60 kms from Aurangabad station saying that while returning we would be visiting Soolipanjan. We drove for about an hour and reached Paithan at about 4 p.m.
Finding Eknath Maharaj’s Samadhi mandir was not difficult. 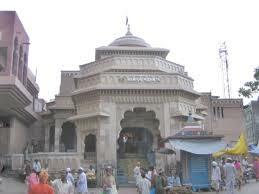 There are two entrances to the temple known as “Datta mandir” and another “Godavari darshan”. This holy dhaam is on the banks of River Godavari. It is advisable to do purification (prokshanam) of the holy river (sprinkling water) on the head instead of a holy bath. Few shops sell puja articles and sweets at the entrance. Eknath Maharaj lived for about 64 years in this world. 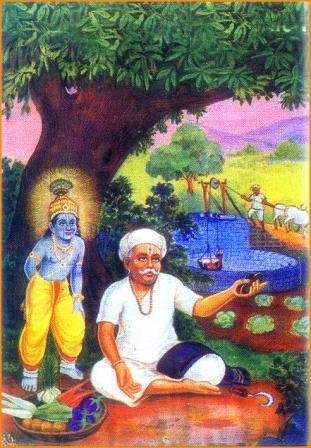 He along with his wife took “jala Samadhi”(they walked into Godavari river) and disappeared informing his followers that on the third day, they would find a banyan leaf and a Tulasi leaf floating on the river and advised them to build a Samadhi for him at the place where the leaves float. A beautiful Samadhi with his footprints enshrined with silver is constructed. A big hall for accommodating devotees to perform NAMA SANKIRTANA (bhajan) is also present inside the mandir. An elderly pujari was continuously reading “Nath Bhagavatham” while another pujari was offering the holy water to the devotees. Beautiful pictures of Eknath Maharaj in deep meditation, the picture of Lord Dattatareya in the centre along with Sri Janardhana Swami and Eknath Maharaj on either sides, a beautiful picture of Lord Vijaya Pandurangan, a rare picture of Bhakti devi and the ways of attaining the Lord through bhakti devi-the nava vidha bhaktis namely sravanam, kirtanam, smaranam, paadha sevanam, daasyam,sakhyam, atma nivedanam on the left side of the Samadhi decorate the walls of the temple. On either sides of Eknath Maharaj’s Samadhi, we can find small samadhis of his father and his son. We were lost in the thoughts of Eknath Maharaj’s vaibhavam and were doing bhajan for about half an hour. The elderly priest who initially was not ready to open the grilled gate, opened it later to enable us to take photographs and videos of the Samadhi. WE thought that it was Eknath Maharaj sankalpam to bless us with a clear view of his charan padukas. The priest removed the flowers to enable us to have clear darshan of the holy feet and showed us the water which oozes from the Samadhi continously. Eknath’s bheej (disappearance day) falls on sashti thithi after Holi Pournami. All the important incidents related to Eknath Maharaj like his birth, guru upadesam, Lord’s darsanam, his disappearance day happened on Sashti thithi. Four days prior to Eknath’s bheej (disappearance day) i.e. on Dwaidyai thithi which coincides with Tukaram’s Bheej ,devotees bring water and pour in the well. On Sashti thithi, when the Lord HIMSELF pours water into the well, it gets filled up and starts overflowing. The water from the well is then distributed as Eknath’s prasadam. Thousands of devotees assemble at the Samadhi mandir on Sashti thithi and continuously do kirtan. Eknath Maharaj was an embodiment of patience, compassion, universal love. He used to see Vittal in everyone. He never used to get angry for all the inflictions caused to him by the people around. The priest narrated an incident when a person tried to provoke Eknatha Maharaj by spitting on him several times until he got exhausted. Eknath used to patiently used to take a dip in Godavari to clean this. Lord Pandurangan used to assist Eknath in performing aaradhana daily by bringing flowers, grinding sandal paste, keeping the altar ready and used to assist Eknath’s wife in buying groceries and vegetables, cutting vegetables and doing all household chores. The utensils used by the Lord, the grinding stone etc can be seen even today. The Lord used to fan Eknath . There are two red painted pillars in Eknath’s house. 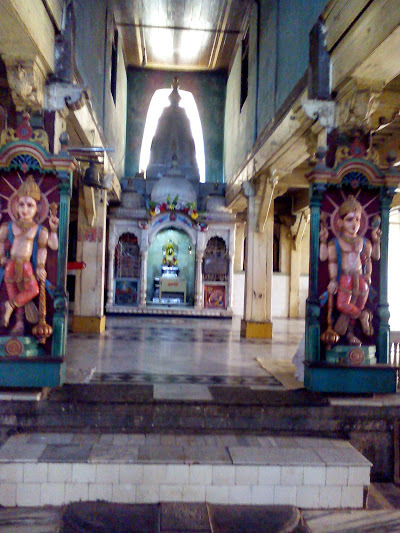 Eknath used to lean on the left pillar while Lord Pandurangan as Kandiya Krishnan used to lean on the right side pillar and fan him. Lord Krishna used to fetch water from Godavari and store it in a small well inside the house. This can be seen even today. Once while Eknath Maharaj was making preparations for performing shraddham (yearly puja done for departed souls), a low caste lady who was passing by expressed her desire to taste the food as the aroma was irresistible. Eknath immediately invited them to his house and fed them . The other Brahmins got infuriated with this action and decided to stay away from participating in the ceremony and ensured that no one from neighbouring villages would attend. Eknath Maharaj invoked the Lord, and Lord Panduranga along with Brahma and the pithru devatas came ,completed the rituals and partook the food offerings. Like Kooratathzhwan, Eknath Maharaj used to do dhadhiyaaradhanai kainkaryam(feeding devotees daily ) in huge numbers. That place can be seen in Eknath Maharaj’s house. 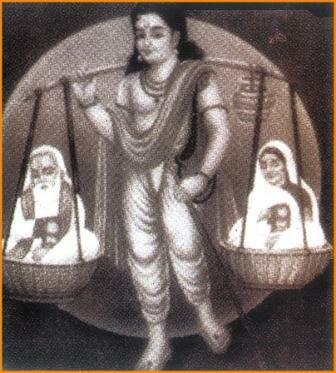 Eknath is personification of “Acharyar Bhakti” like Madurakavi Azhwar, Anantazhwan. All the Gods were pleased with Eknath Maharaj. Lord Dattatareya appeared before him and gave darshan. 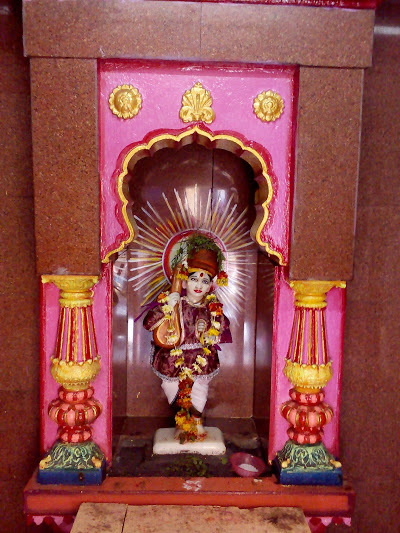 Lord Dattatareya stood guard at Eknath Maharaj’s house entrance. We can find the pictures of Garudan and Dattatareyar at the entrance on either sides. Durga devi used to do the cleaning work while Lord Krishna left Dwaraka and served him for 12 years as “Kandiya Krishnan”. Lord Triyambakeswar advised a devotee who was suffering from leprosy to partake the sripadha theertham(water used for washing feet) of Eknath Maharaj and he was cured. A poor lady who desired to feed 1000 people was advised by the mahants to invite Eknath Maharaj for lunch as it was equal to feeding 1000 people. The lady informed this to Eknath Maharaj and requested him to accept her invite. Evknath’s son who was present there was wondering how it could be equal to feeding 1000 people. After Eknath honoured prasadam served by the lady, he asked his son to remove the banana leaf and clean the place. The son was perplexed as he had to remove 1000 leaves. A rich person made a beautiful vigraham of Pandurangan to be worshipped by him in his house. The Lord repeatedly appeared in that person’s dream and expressed HIS desire to stay in Eknath’s house. Finally, the rich person came to Eknath’s house, informed him about his dream and handed over the diety to Eknath amidst assembled devotees. Eknath was overwhelmed at the Lord’s compassion and offered HIM butter. Immediately, to everyone’s surprise, the Lord removed HIS hand from HIS right waist and lent forward to accept the butter. Hence, we can find Lord Vijaya Pandurangan with HIS left hand on HIS waist and HIS right palm forward. 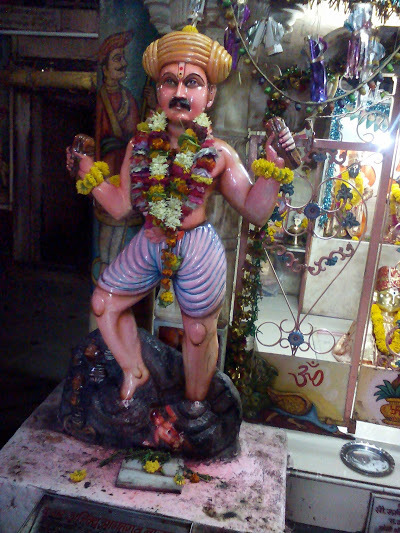 This diety is in Eknath Maharaj’s house and is being worshipped by his descendants. Only at the time of abhishekam, we can have the darshan of the hand when all the floral decorations are removed. We requested a vendor outside the Samadhi mandir to accompany us to Santh Eknath’s house and Naag ghat who could speak in Hindi. Most of the residents speak in Marathi and we were finding it difficult to converse with them. Luckily, we found this person who was willing to guide us. The temple pujari informed that they also reside in that place . This is about 2 kilometres from the Samadhi. 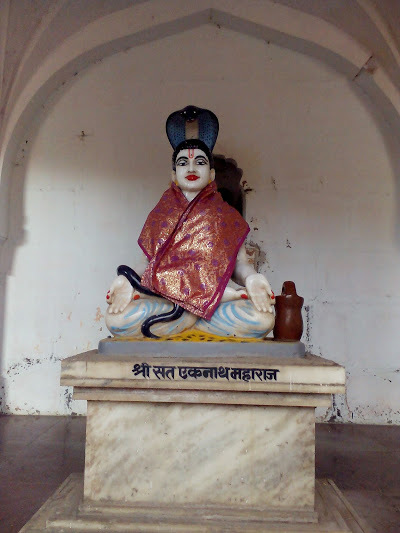 Eknath’s forefather, Sri Bhanudasar also lived in this place. Driving past narrow,unleveled,hilly roads , we reached the temple. Renovation work is going on in the temple. At the entrance, we can find the pictures of Garudan and Dattatareyar as guards. In the centre, there is a big hall where few devotees were singing abhangs, while another devotee was spotted with Tambura in his hand. 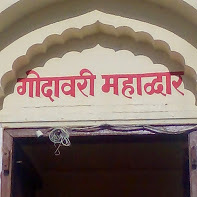 On either sides of the hall, there are rooms where Eknath Maharaj’s descendants reside. On the left side in the main hall, we can find a small well which was closed with a stone and protected by grills on all sides. The priest informed us that Lord Krishna used to fetch water from Godavari and fill this well. 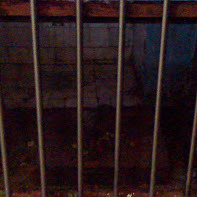 This well is opened only 4 days before Bheej. As informed earlier, the devotees bring water in small pots and fill the well until it gets filled up and starts overflowing. There is a strong belief that on Sashti thithi, Lord HIMSELF pours water and immediately the well gets filled up. In the garbagriham, we can find the beautiful vigraham of Lord Vijaya Pandurangan bedecked with ornaments and flowers. Beneath , we can find the photos of Eknath Maharaj with his gurudeva and Dattatareya. As mentioned earlier, the Lord out of HIS own free will, appeared here . We were told that the grinding stone used for making sandal paste was inside the garbagriham and as no one was around, we couldn’t have darshan of the same. We were fortunate to touch the two pillars in front of the garbagriham on which Eknath and Lord Krishna used to lean. To distinguish , these two pillars are painted in red. We circumbulated and touched the pillars and prayed for enhancement of bhakti and left the place. From here, we proceeded to Naag ghat which is nearby. This is on the banks of Godavari. As the name suggests, a big snake painted on the wall draws our attention. There is a small naagam where devotees assemble to please the snake-god. We can find a stone-laid mantapam in an open space on the banks of Godavari which used to be the seat of the learned pundits in Prathistanapuram. The pundits used to give their verdict in the assembly at this place. 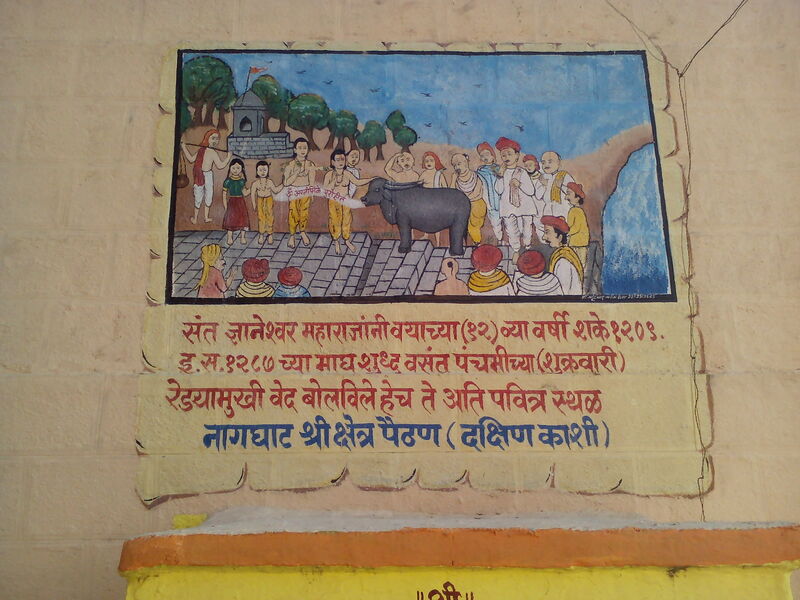 This place is related to an important incident in Jnaneswar Maharaj’s life which is mentioned below. Vittal Pant who was not interested in leading a family life renounced his wife Rukmini and took sanyas from a guru in Varanasi without his wife’s knowledge. During one of his teertha yatras, the guru visits Aape gaon and blesses Vittal Pant’s wife,Rukmini with children. Rukmini informs him that her husband had taken sanyas from the guru . The guru orders Vittal Pant to return to the village and lead a householder’s life. Being guru’s orders, Vittal Pant returns and in due course is blessed with 4 children who were the amsams of the Trinities. Nivrutti was Shiva’s amsam, Sopan ws Brahma’s , Jnaneswar was Vishnu’s amsam and Muktabai was Durga’s amsam. The family was banished from the village because VittalPant had returned to family life after sanyasam. When Vittal Pant and Rukmini along with their children approached Prathistanapuram for requesting the learned pundits to perform thread ceremony for their children , they refused to do so and as a prayachitham ordered them to end their lives in Ganges. Accordingly, Jnaneswar’s parents went to Triveni Sangamam and got themselves drowned because they were more interested in their children’s welfare. The children once again approached the pundits and informed about their parents act and requested them to perform thread ceremony. The learned pundits mocked at them about their interest to learn the sacred books. This was only a ritual. The trinities, especially Jnaneswar who was an embodiment of knowledge didn’t require all the rituals but had approached the pundits to satisfy their parent’s desire. When the pundits were thus insulting them, Jnaneswar said that anyone could recite the Vedas. The pundits pointed out to a buffalo which was gazing nearby and asked whether it could recite. Jnaneswar immediately ordered the buffalo to recite the Vedas and the buffalo did so. The shocked pundits sought apology and realized Jnanadev’s greatness. To recapitulate this incident, we find the buffalo temple here. This incident is painted on the wall. Opposite to this, we find Ganesh mandir and further down towards Godavari, we find Siddeshwar sannidhi. This buffalo followed Jnanadev till its end. Infact, this buffalo used to nod its head in acceptance while Jnaneswar was expounding commentary on Bhagavad Gita. We dropped the vendor back at Eknath Samadhi with some dakshina and proceeded on our journey. It was already 6 p.m.. and hence we had to surrender to the mahaans at Soolipanjan in our minds itself. However as it was too late we had to surrender to the santh at Aape Gaon on the way to Nevasa. Though the Kalleshwar temple in Nevasa was about 7 kms from the highway we had to pray from the bus stop itself . A local person informed that within 30 minutes, we could visit the temple and also informed that Shirdi was about 1 hour from this place and we could stay there and go to Pune the next day. This meant that we would be reaching Pune only by noon . As we were running short of time, we decided to proceed to Pune even if it meant night journey by road with kids . The manager of Ahobila Mutt,Pune was glad to know that we are Sri Mudaliandan swamy’s sishyas and agreed to accommodate us in the mutt and provide prasadam. We waited for about half an hour and to our dismay , no bus turned up. WE saw many non-stop buses from Aurangabad to Pune and cursed ourselves for listening to the driver. We dispensed the driver by paying 3200/- (including his tip) and were left stranded in the night on the highway. The person with whom I was conversing arranged for a jeep for all 10 of us waiting for the bus to go to Nagar which is about 40 kms from Nevasa. Ahmed Nagar popularly known as “Nagar” is an important route from where buses to various towns are available . We reached Nagar at 9 p.m. and had to wait for solid one hour to board Pune bus. Luckily we got AC bus to Pune. The bus fare is 335/- per person . It is about 3.5 hours drive from Nagar to Pune. We called up Ahobila Mutt Manager, Sri Rangachary that we would be reaching Pune at about 1 a.m. The Manager was kind enough to remain awake and was giving directions to reach Ahobila Mutt . He had kept 3 packets of Pongal, water,beds ready for us. Ahobila Mutt is popularly known as “Pashan Balaji Mandir” and has kalyana mantapam in the first floor with rooms for the bride and groom parties. We were ushered into a room with all provisions. We are greatly indebted to him for his services. Paid 300/- to the auto driver and retired for the night after partaking prasadam and thanked the manager profusely. We later learnt that despite his ill health , he remained awake for our sake. Our obeisances to the great devotee who gave us shelter. After a long journey, we curdled in the divine lap of LAKSHMI NARASIMHAR and SRINIVASAR. On 7th morning, we participated in the Saatrumarai seva in Balaji mandir at 9 a.m. After partaking the curd rice prasadam, we left for Dehu. We engaged a car through Ola Cabs to visit Dehu and Alandi for which we paid Rs.1300/-. The car picked us up at 10.10 a.m. and reached Dehu at 11 a.m. Dehu is about 41 kms from Ahobila Mutt. 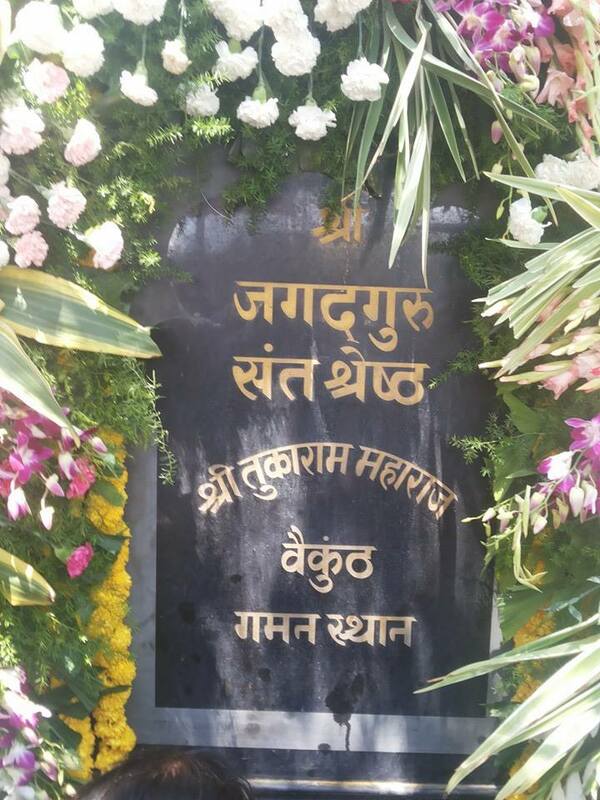 At the entrance, a beautiful arc mentioning Sant Tukaram’s birthplace with Tamburas on either side welcomes us. This comes under Military area. 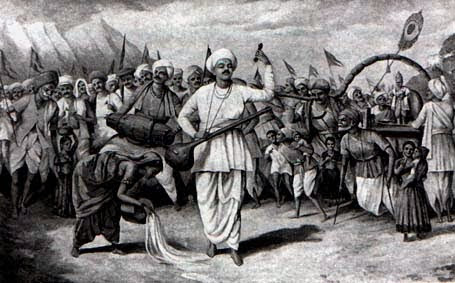 There was a heavy influx of pilgrims on that day as it was Tukaram’s Bheej (disappearance day). We could drive for about one kilometer only and all the vehicles had to be parked there itself. From the parking area, the Samadhi temple is about 3-4 kilometres. WE were charged up seeing the devotion of the pilgrims singing bhajans holding Tulasi pots on their hand, some were playing tambura , kartaal etc. This was an experience to be cherished. It is the usual practice of the devotees to fast on that day and have prasadam only after taking Tukaram’s blessings. The shopkeeper from whom we purchased water informed that the tree under which Tukaram left for Vaikuntam was about 3 kms and we had to walk. My wife approached a driver for help stating that I had just recovered from a fracture and would not be able to walk the distance. He immediately stopped a bus which was coming from the opposite direction and asked us to get in. Along with us, other devotees joined and within no time, the bus was jam packed. The bus was however parked at a distance of about one kilometer. The entire place was charged up in devotional fervor. This reminded us of the festivities during Thiruvedupari utsavam in Thirunangoor where the otherwise sleepy village comes to life with lots of activities. A typical Indian village fare selling ice creams, snacks, tulasi beads ,fruits, juices were seen. We could hear Tukaram’s abhangs being played everywhere through the sound systems. There is another arc with the beautiful words “ JNAN,BHAKTI,VAIRAGYA TUKARAM”. The crowd reminded us of Brahmotsava celebrations in Tirumala. WE were amidst “jana samudram”. 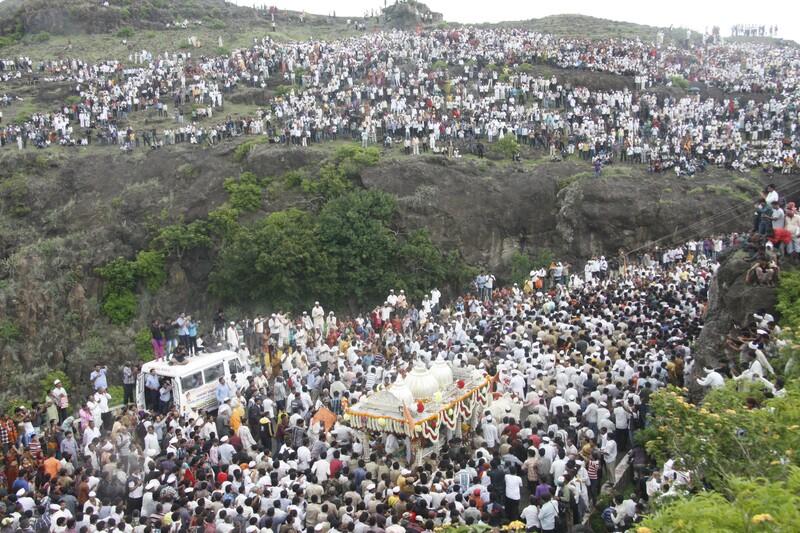 Atleast a lakh of devotees were present at that time on that day to witness a miracle which happens every year at noon. Our ears were drawn to the melodious kirtan by Srila Prabhupada singing the Maha mantram. A big cut-out of Lord Pandurangan from a distance attracted everyone’s attention. Few ISKCON volunteers from Pune centre were doing yomen service of book distribution. We purchased a beautiful and informative book on Tukaram by Shri.Radhanath Maharaj at ISKCON shop. They were glad to note that we are life members and requested us to honour prasadam on the way back. We found nearly 5 groups of ISKCON volunteers following Srila Prabhupada’s instructions of book distribution. 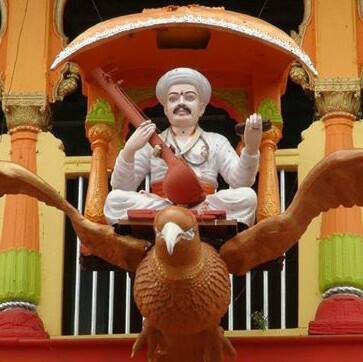 On the way, we could have sparsham of Tukaram’s padhukas which were placed in a palanquin. Unmindful of the scorching heat and clasping each other’s hands we proceeded to Tukaram’s Samadhi mandir. On the left side, we find Indrani river which was witness to the various incidents in Tukaram’s life flowing peacefully. Many pilgrims were purifying themselves in the water. 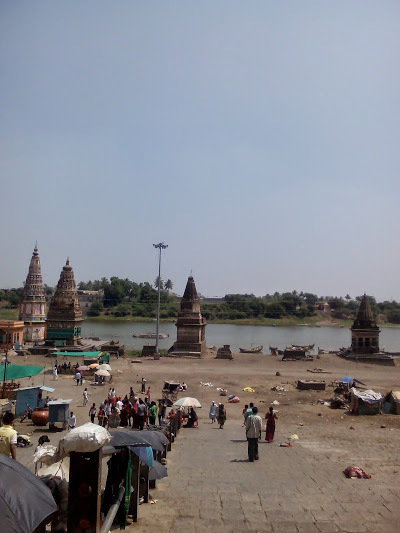 This river which flows past Alandi, brings Jnanadev’s blessings too along with her to this place. Pilgrims who have a holy dip are benefitted with Jnanadev and Tukaram Maharaj’s grace. Sant Tukaram like Nammazhwar was the only person who left for Vaikuntam with this mortal body. 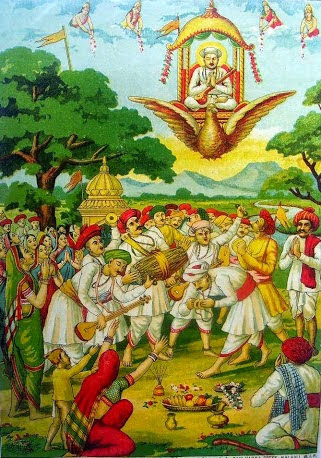 Lord sent Garuda vahanam and singing the praises of the Lord , while everyone was watching, Sant Tukaram embarked on the Garuda vahanam and ascended to Srivaikuntam. He promised his followers that on every disappearance day which falls on the second day after Holi ,popularly known as Bheej, he would come from Vaikuntam exactly at noon in the form of a gentle breeze to this place and bless the devotees. Because of the gentle breeze, the leaves of the tree which was a witness to the incident gently move and the leaves fall. To enable the assembled devotees who stand far away from the tree, the temple authorities have tied a red flag as an indication. When the breeze gently blows, the red flag moves which can be witnessed by everyone. The assembled devotees continuously sing the abhangs and as noon approaches, the fervor and intensity of the bhajans increases. Words cannot describe the sight. One has to personally witness this incident. Because of the heavy rush, we could not go very near the temple and had to miss Bandaara hills which is about 8 kms from this place. The heat was unbearable and as were running short of time, we prayed for Punar darsanam at this place. WE were content of having the most desirable darshan on the auspicious day. The ISKCON volunteers whom we met earlier ushered us to a building under construction and served pooris,curry, rice,dal ,kesari as prasadam. We learnt that there is an ISKCON centre at this place. So, we were confident that during our next visit to Dehu which should happen with Sant Tukaram’s grace, we can stay in ISKCON and relish Sant Tukaram’s pastimes. We paid Rs.10/- per head for the bus to drop us at the parking lot . From Dehu, we proceeded to Alandi. Actually the distance from Dehu to Alandi via “Alandi-Dehu road” is about 25 kms but we learnt that due to heavy crowd, the road was closed. So, we had to go via Pune. These two places are in perpendicular directions. Alandi, the most frequented place by devotees is the place where Jnaneswar Maharaj, popularly known as “Jnanadev”/”Mouli” took jiva Samadhi. Sri Jnaneswar Maharaj took Samadhi at the age of 21 under the rare tree known as “Ajaana vruskh” which cannot be found anywhere. Being weekend , there was heavy rush of pilgrims. The simple, bhakti fervor of the Maharashtrians can be seen at these religious places. The Samadhi mandir is on the banks of Indrani river. On either sides, we can find shops selling all types of puja items, refreshments . It was 3 p.m. when we reached this place .Devotees were waiting in the serpentine queues seeing which I guessed would take easily one hour to have darshan. In the temples which we visited, I found that there is no “paid ticket queues”- no seegra darshan. Everyone has to go in a single queue. Devotees standing in the queue were sining bhajans which I guess must be the abhangs written by Jnaneswar maharaj. Unmindful of the hot breeze and the rush, devotees were immersed in the prayers. My wife approached a security person and requested him to help us out as adiyen couldn’t stand for long. The security ushered us directly into the Samadhi through the exit door. Within minutes, we could have darshanam of the Samadhi. On the outer wall of the Samadhi temple, a big photograph of Sant Jnaneswar with Vittal gracing him from behind draws our attention. Opposite to this is Muktabai’s sannidhi. When we come in circumbulation, we can have darsanam of the banyan tree. Rukmini-Jnaneswar’s mother used to circumbulate this tree 1008 times daily as she considered that to be her “daily Pandharpur yatra”. 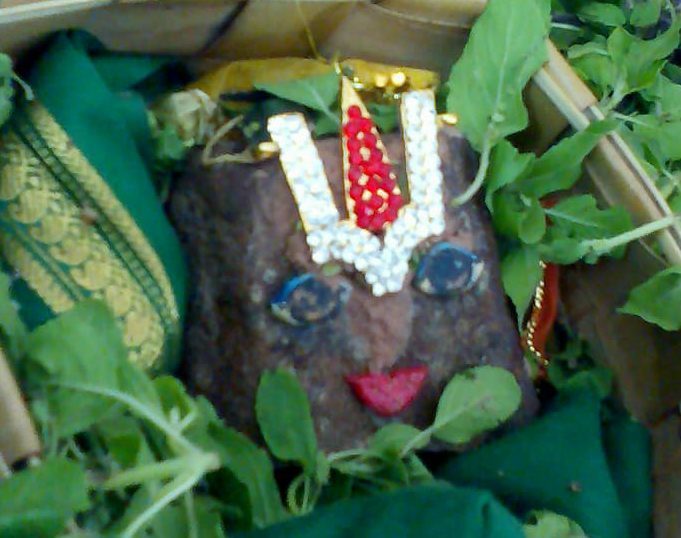 Beside this , we find Ajaanavruksh tree which is worshipped by all the devotees. We came across devotees sitting and reading Bhaavartha Deepika near the tree. It was under this tree that Jnaneswar took jiva Samadhi. Later a temple was constructed at this place but we find the tree spreading its branches over the Samadhi even now. Descending two steps from the tree, we enter into a mandapam which has been constructed for the devotees to recite Bhavaartha Deepika. In this mantapam, we can find the images of Lord Vittalan with Rakumaayi and the silver palanquin which is used to carry Jnaneswar’s padhukas to Pandharpur from Alandi. Jnaneswar was the founder of Varkaari sampradayam- they emphasise more on bhajans and abhangs. Aashada Ekadasi is the most important festival in Pandharpur because this is the appearance day of LORD KRISHNA as PANDURANGAN to Pundalikan. Every Ekadasi is important but Aashada and Karthika Ekadasis are the most important festivals for varkaaris and in Pandirpur. Aashada Ekadasi is also known as ‘Sayana Ekadasi” when Lord Jagannath goes to sleep for four months at the onset of Chaathur maas. It is also known as “tholi Ekadasi” for Telugus because it marks the beginning of festivals after a gap of about 3-4 months. In Tamilnadu, in almost all the temples, during this period, Jyestabhishekam is performed to the deities. So, this month is important for all the Hindus. Back to Aashada Ekadasi celebrations, thousands of devotees gather at Alandi and Dehu. In Alandi, the assembled devotees place the padhukas of Jnaneswar in the palanquin (“paalki’) and continuously do bhajan until they get consent from Jnaneswar for the yaatra to begin. The bell on the Samadhi of Jnaneswar rings, leaves fall from Ajaana vruksham and there is a drizzle. Only when all these three things happen, it is treated as Sant Jnaneswar’s consent and the procession starts. The procession takes about 15-20 days to reach Pandharpur. All through the paada-yaatra, devotees keep singing abhangs, they carry tulasi pots , and partake prasadam with everyone. We reached Swaargate bus stop in Pune at about 5 p.m. intending to take Satara bus. Initailly, we planned to go to Satara ,stay in the ISKCON centre (we never knew that ISKCON has a centre there but the devotees in Dehu provided us with the number and asked us to contact them (08806619098) for prashadam and accommodation. We planned to stay there for the night and go to Sajjan gad which is about 18 kms south of Satara and visit Samartha Ramdas Samadhi mandir on the hill. There was communication gap with the ISKCON person and hence we could not get confirmation about the stay. Maybe it was Lord’s will to fulfill our desire of having Mahalakshmi darsanam at Kolhapur . We found a bus which was ready to leave for Kolhapur . Purchased tickets and reached Kolhapur at 10 p.m. 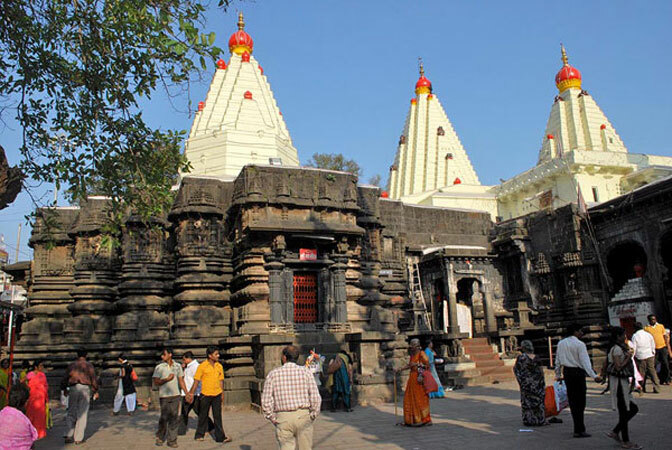 The Kolhapur Mahalakshmi temple is about 8 kms away from the bus stop. 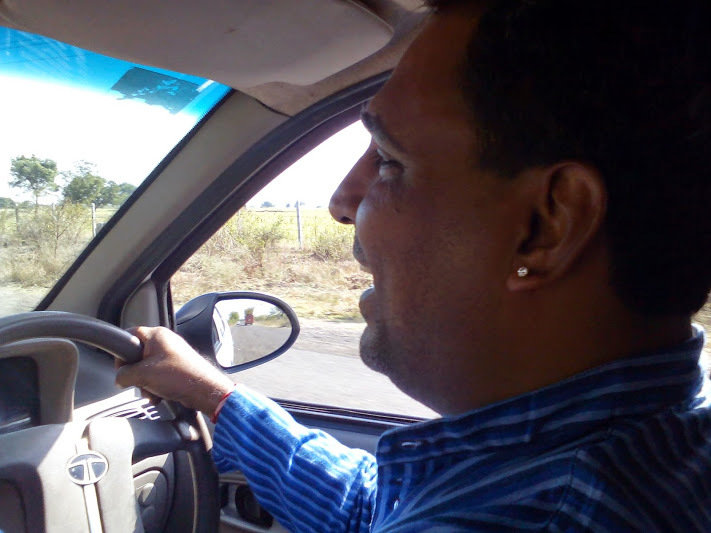 We hired an auto for Rs.70/- who dropped us in Venkateswara Lodge for Rs.1000/- room rent. We had spoken to one of the priests of Kolhapur temple who advised us to be at the temple entrance by 7.30 a.m. to participate in Abhishekam for Thayar. HOW THE DIVYA DAMPATHIS MAHAVISHNU AND MAHALAKSHMI DESCENDED ON EARTH FOR GRACING US IN KALIYUGA.. It may be recollected that Bhrigu rishi was assigned the task of finding out the most tolerant and compassionate God among the Trinities who could be worshipped by the fallen souls like us in Kali Yuga. When Bhrigu rishi reached Satyalokam, Brahma was lost in meditation while Saraswathi was playing the veena. As Brahma didn’t welcome the rishi, he got angry and left the place cursing that Brahma would not be worshipped on earth. (an exception to this are the temples at Pushkar and Bittoor).Bhrigu rishi proceeded to Mount Kailash where he found Shiva and Parvathi performing thandaavam (a dance type) and didn’t greet him. The offended rishi cursed Shiva that he would not be worshipped in his original form and people would only worship him as “linga”. Bhrigu rishi was totally infuriated at the behavior of Brahma and Shiva and angrily proceeded to Vaikuntam. He presumed that Vishnu who was lying on the cosmic ocean would also extend the same treatment . Without following any decorum, he straight away went to the Paarkadal and seeing Perumal in yoga nidra and Thayar pressing the Lord’s holy feet, he committed an unpardonable offence by kicking Perumal on HIS holy chest which is the vaasasthalam (residing place) of Jaganmatha, Sri Mahalakshmi. Perumal who was pretending to be asleep immediately got up seeking forgiveness from the rishi. Perumal seated the rishi on a throne and started pressing the rishi’s legs for the pain that would have arisen due to the offence. The moment Perumal’s sparsham was felt by the rishi, he calmed down and realized his mistake. While Perumal was pressing the rishi’s legs, he gradually pressed the third eye under the rishi’s feet which was the cause of anger in the rishi. Rishis who have mastered their senses ought to be calm and forgiving whereas this rishi despite doing tapas for hundreds of years failed to master his senses. All the evil got accumulated in his third eye which was the cause for his temperament. The rishi realized his mistake and begged for forgiveness. 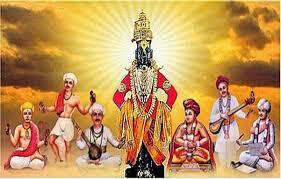 He praised Perumal that HE is the most compassionate God to be worshipped and left the place. Mahalakshmi Thayar who always resides in Perumal’s chest who is never inseperable from Perumal (as Nammazhwar says “Agalagillene Iraiyum endru alarmel mangai urai maarbha) was offended by this act of Perumal. She couldn’t accept Lords’s compassion on a sinner who desecrated her place. The Vedas identify Perumal as the “one who has Sridevi on HIS chest”. Lord is known as “SRI-NIVASAN” meaning the abode of Sri (Lakshmi). Pey Azhwar endorses this in Moondram Thiruvandhadhi as “THIRU KANDENE, PON MENI KANDENE…..” meaning that he first saw “Thiru”(Lakshmi) and because of HER luster, he could see the golden luster on Perumal’s body.. . Our poorvacharyars vouch for Thayar and clearly emphasise HER importance as SHE alone acts as Purushakaaram(bridge between Jivatma and Paramatma) and prevail upon the Lord’s will to grant moksham (freedom from rebirth) on our behalf. That is why ,Swamy Ramanujar chose the holy day of Panguni Uthiram and sought refuge at Ranganayaki Thayar’s holy feet to intervene on our behalf and grant moksham. Our poorvacharyars say that one can count the innumerable qualities of Perumal whereas it is just not possible to count Thayar’s qualities. Swami Desikan prays to Thayar to intervene on our behalf and ensure that Perumal does not punish for our various uncountable sins. Annamacharyar first sang 100 songs on Thayar and only later he started singing for Perumal. Thyagarajar says “Nannu Bhrova mani cheppave, Sitamma thalli…. ), Ramdas in his outpourings sings “Yey theeruguna dhaya …..” . On a day prior to Vaikunta Ekadasi in Srirangam, when Namperumal dressed as Mohini by wearing Thayar’s costumes appeared in front of Parasara Bhattar asking him to comment, Sri Parasara Bhattar commented that even though Perumal dressed up like nachiyar, HIS eyes which always wander to punish the sinner cannot be compared with Thayar’s benovolent compassion. Thayar’s kataksham is always cool and forgiving whereas Perumal always tries to punish us when we deviate from dharma. Such is the vaibhavam of Mahalakshmi Thayar whom Bhrigu rishi insulted. Thayar who could not bear this humiliation and left Vaikuntam and landed in this bhooloka at Karaveerapuram for doing penance. The moment Thayar left Vaikuntam, Vaikuntam lost all its splendour and Mahavishnu also set out for Bhooloka in search of Thayar. The Lord ascended at Tirumala Hills and later on married Padmavathi who was an amsam ofBhoo devi and who played a vital role in Ramayanam as mentioned in “Sri Venkateswara Mahatyam”. Mahalakshmi Thayar who was doing penance was informed by Narada rishi about these developments and SHE came to Tirumala and participated in the wedding. Thayar once again occupied HER original place in Perumal’s chest and resides forever. A beautiful temple is constructed at the place where Thayar did penance. 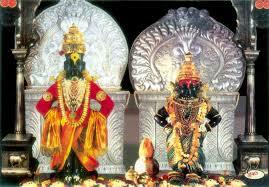 Mahalakshmi Thayar is in standing posture, Mahavishnu and Mahalakshmi have blessed this place by staying here forever. In this temple, everyday Thirumanjanam is performed to Thayar’s sataari (holy feet) in HER presence. On 8th morning, adiyongal met the temple priest at South gate. There are four entrances to the temple. Kolhapur previously known as “Karaveera puram” is the place where Goddess Mahalakshmi first placed HER holy feet on earth. In this temple, all the activities are followed systematically. Only gents are allowed to sit for the Thirumanjana seva and the ladies can stand behind and watch the seva. Seva cost is Rs.350/- per person . This seva is performed in the mornings from 5 a.m. at hourly slots. For this purpose, there are two sataris. One of the priests ask us to do sankalpam and after this is over, the devotees are involved in all the sevas. A priest hands over a bowl of holy milk mixed with water,cur,turmeric,honey to be poured on one sataari and this is done by all the assembled gents devotees. During Thirumanjanam, Sri Sooktam was being chanted. Dhoopam, deepam, flowers, neivedyam are separately passed on to all the devotees who individually offer it to the satari from their place . Later, another pujari while reciting Lakshmi archana, gives us some kumkum to be offered to the second sataari. After this, the devotees are sent for darshanam from close quarters. While we were performing Thirumanjanam, we observed that a priest was patiently adorning the main diety ,Moolavar with all the sarees offered by devotees. At a time, Thayar is draped in 10 sets of sarees in everyone’s presence. Later after giving haarthi and sweet offerings, these were removed. It is usual practice for the devotees who visit this temple to offer bangles, sarees, blouse pieces, kumkum etc. to the Thayar. All the shops near the entrances sell these items. Moolavar’s thirumanjanam also was performed in everyone’s presence. The priest anointed some oil on Thayar’s thirumugam(face) and all over the body. Later abhishekam was performed using water and milk. This process is not that elaborate as we find in Southern temples. Thayar was once again dressed in new sarees. Dakshina of Rs.350/- towards Thirumanjanam charges are to be given to the head priest . These amounts are later distributed amongst all the pandas/pujaris. We were lucky to be in Thayar’s presence for nearly an hour .Our hearts were filled with HER benevolent grace. 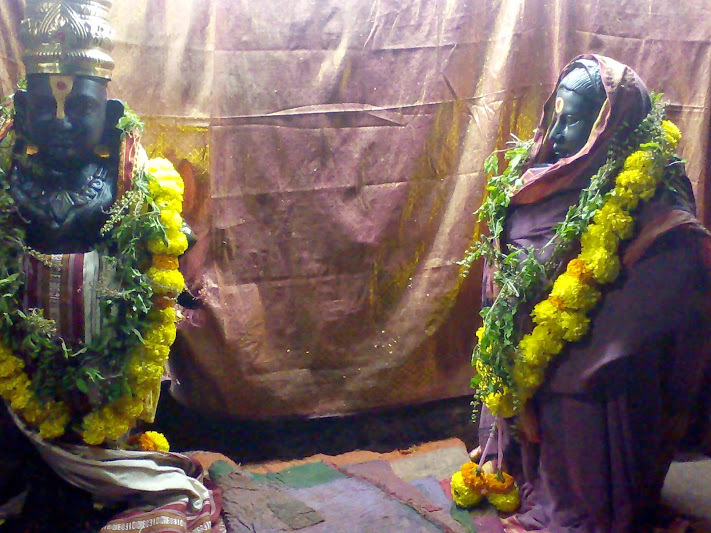 Karaveerapuram is also connected with Sakku Bai, one of the great devotees of Pandurangan. Sakkubai hailed from a nearby village in Pandirpur but was living with her inlaws at Karaveerapuram, the present Kolhapur. To enable Sakkubai to have HIS darshan on Aashada Ekadasi, Lord assumed her form and lived in Karaveerapuram serving her inlaws and husband doing all menial jobs. So, we wanted to visit this place. But unfortunately, no one was able to guide us. So, we had to satisfy ourselves by thinking of the Lord’s pastimes and her bhakti. We left the temple at about 9.30 a.m. and checked out of the lodge at about 10.30 a.m. Boarded Pandharpur bus from Kolhapur bus stand at 11 a.m. and reached Pandharpur around 4 p.m. Took an auto for Rs.100/- to go to ISKCON, Pandharpur . Being life members, we had made advance reservation of our accommodation and the manager, Sri Praveen Prabhu was kind enough to keep some prashadam for us. After refreshing ourselves, we first had Sri Radha Pandirnath darshan in ISKCON and after honouring prasadam, went to Chandrabhaga river and sprinkled the holy water on us. Construction of ghat as desired by Srila Prabhupada has commenced at this place with the support of volunteers. We participated in the evening aarthi in ISKCON at 7 p.m. Shri Praveen prabhu had arranged for an auto for us to go to the temple. To have a hassle-free darshan in Pandharpur avoiding long queues, the temple authorities have started “online booking” scheme. We need to log on to http://www.vitthalrukminimandir.org/onlineDarshan.html and choose the date and time slot. Book the darshan ticket online by uploading your photo and filling up the application. We booked our darshan for 7p.m. to 8p.m. slot and so left for the temple at 7.30p.m. after the kirtan. The temple is about 10 minutes drive from ISKCON. The darshan is free of cost. The security at the entrance ushered us to go to a nearby office near Tukaram dwaar to get our tickets stamped. Once this is over, we can straight away enter the temple for darshan. We first had darshan of Chokamela’s Samadhi near the entrance. Offering obeisances to Namdev at Namdev Pairi, we entered the temple singing songs on Panduranga including few abhangs. Lord Panduranga was very kind to us. He gave darshan from the closest quarters and allowed us to have HIS PAADHA SPARSHAM (touching the holy feet) which is done only in Pandirpur. The Supreme Personality was dressed in white dhoti with big green borders (typical South Indian dhoti) .We felt that the Lord was pleased with us because we had darshan of his devotees and then approached HIM. The blessings of HIS dear devotees shielded our shortcomings enabling the Lord to pour HIS BENOVOLENT GRACE ON US. The Lord also gave us a bonus by allowing us to watch HIS THIRUMANJANA SEVA ( ABHISHEKAM ) on the next day. An ISKCON devotee who was introduced to us by Praveen prabhu advised us to be at the Mahadwaar by 2 a.m. Only 30-40 devotees are allowed inside to have darshan of the Thirumanjana seva. But as advised by the auto driver, we ensured to be present at mahadwaar by 1 a.m. The auto driver arrived at ISKCON during the wee hours and dropped us at Vittal temple. Handing over the mobile to him and requesting him to come at 6 a.m. for picking us up, adiyen accompanied by my wife, joined the queue outside the mahadwaar. Luckily, only two devotees were present. Chanting on our beads , we waited till 4 a.m. for the gates to open. The security organized everything nicely. The ladies were first allowed to get inside the temple first and were made to sit in front of the garbagriham in the big hall which is about 12-15 feet away from the main deity. The gents were allowed later and had to stand/sit behind the ladies. We recollected our past two sevas few years back when the pandas used to take us from some other entrance other than the maha dwaar , make the gents sit and the ladies used to stand behind. The pandas also used to charge exhorbitantly ranging from Rs.2000-5000 based on the number of persons. But after the Endowment department has taken charge, things have been simplified for the benefit of devotees. There is no charge for any seva. Hope all the Endowment managed temples in our country follow this system. After about half an hour, the rituals started. The pujari first removed the tulasi leaves which were placed on the Lord’s holy feet the previous night and distributed it amongst the assembled devotees. There were about 6 priests engaged in the service of bringing holy water, milk, sugar, flowers , chandan paste etc. 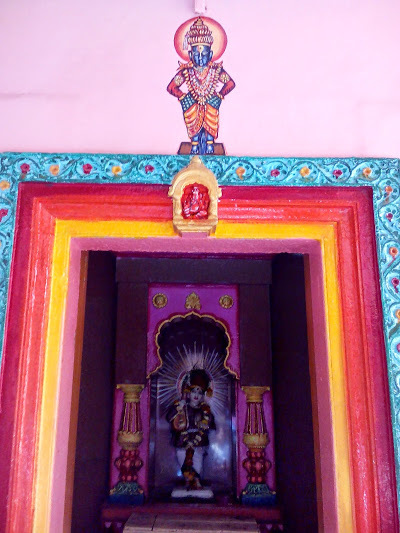 A male devotee in his late fifties helped in cleaning the inner halls while a lady who seemed to be an advanced devotee was cleaning the thresholds with water and decorating with kolams. All through her activities, she was happily singing aloud songs on Vittal . The songs by the pure devotee was nectarian. As we were not familiar with the language, we could only guess from few Hindi words that she was singing appropriate songs for the sevas. While the Lord was awakened, she sang a nice song. While offering milk , we guessed she was singing in Yashoda bhaavam, during Thirumanjanam and haarthi, she was outpouring the divine nectarian songs. She reminded us of the great devotee, Jaana bai who used to sing beautiful abhangs on Lord Vittalan while discharging her duties. The Lord was so pleased with her abhangs that he used to remember and relish her sweet outpourings. The milk which was offered to the Lord was distributed amongst all of us. The diety was now ready for Thirumanjanam. The pujaris kept two pots in front of the Lord containing milk and water and did sankalpam. Inside the garbagriham, the priests were chanting Purusha suktam while this lady along with the elderly person was singing abhangs. Lord was given holy bath with water, milk, chandan, sugar . Sugar was applied on the Lord’s pavazhavaai(mouth) and on HIS holy feet. The Lord’s divya mangala swaroopam can be clearly seen during Thirumanjanam. 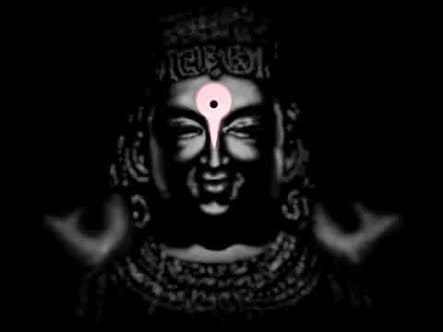 The Lord has a lingam on HIS head (Mastaka lingam), the Lord places HIS palms on HIS hips. The Lord is seen holding sankhu in HIS left palm and HIS right hand rests on the hip. Lord’s dress and the sweat on HIS divine face can be seen clearly. The brick on which the Lord places HIS holy feet can also be seen. Indra, the king of devas, to atone for the sin of killing Viratasuran, a Brahmin was afflicted with bhrama hathi dosham. To atone for this sin, Indra assumed the form of a brick and requested Srihari to purify him by placing HIS divine feet. Haarthi was given to the Lord while the lady was clapping. First, the golden crown was placed on the Lord’s Head. The Lord was clad in white silk clothes and with a white velvet cloth as the upper garment. The lady was singing a song referring to the various days and the colour of dresses adorned by Vittalan. The Lord was bedecked with a floral garland and a Tulasi garland. Chandanam was applied on the Lord’s forehead in an “inverted leaf” form and a black Tilak was applied in the centre. The Lord’s beauty was very captivating..No wonder, so many devotees attained HIM. The moment abhishekam got over, the lady left the place to do some other service. How fortunate she is to do kainkaryam right in front of Perumal, sit in front of HIM and sing for HIM. WE were mesmerized by her unflinched devotion to Vittalan. After archana, the Lord was offered bhog. Later we were all ushered in to have close darshan. The ladies were allowed first and the gents followed suit. Adiyen with my wife who was waiting in the queue had darshan of Vittalan in close quarters and fell at HIS holy feet. May the Lord bless us with PREMA BHAKTI. After having darsanam of Rakumaayi, Subhadra, Radharani, Balaji and after circumbulating the holy tree we cherished our memories sitting in the temple. Kaangopaatra who lived in Mangalvedha was a very pious,devoted,beautiful lady who was always lost in Vittalan’s thoughts. The king ordered her to be brought to his presence forcibly. On the way, she requested the soldiers to allow her to have darsanam of Pandurangan for the last time who obliged to her request. She ran inside the temple and crying piteously falling at the feet of Pandurangan, she gave up her life. The priests hid her body behind the temple and immediately a big tree grew in that place. This is the holy tree inside the temple which is worshipped by the devotees. When the king who didn’t believe the preists’ version personally came, he was shocked to see the upper cloth worn by Kaangopatra now decorating the Lord. WE later learnt from the car driver that Narasing Mehta’s Samadhi mandir is in Mangalvedha. WE returned to ISKCON and after taking rest for some time, honoured prasadam and went to visit other important places by auto in Pandirpur. We first went to Pundalikan Samadhi located on the banks of Chandrabhaga. This temple is visible from ISKCON. “PUNDALIKA VARADHEY HARI VITTALA “ is the most often heard word amongst Vittalan devotees and in Pandirpuram. Pleased with the services of Pundalikan to his parents, the Supreme Lord appeared in this tiny village to bless him and gives darshan to everyone till date. Another speciality is the Lord’s sowlabhyam to his devotees. Everyone irrespective of caste,creed,gender is allowed to touch the Holy feet of the Lord. In Pandirpuram, we can have the darshan of the MOST COMPASSIONATE LORD who mingled with all the devotees and assumed various forms like a cobbler, barber, servant, potter, and always assisted his devotees right from helping them in household chores and encouraged them to do bhajan. Lord Pandurangan is pleased with bhajans only. “CHANDRABHAAGE SNANA THEERTHA PUNDALIKA KSHETRA PAALA…” is the famous abhang which not only Maharashtrians but also South Indians know…. 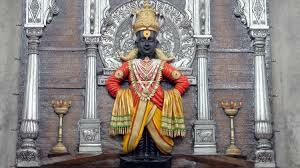 Pilgrimage to Pandharpur and Vittal darshan is incomplete without mentioning Pundalikan. 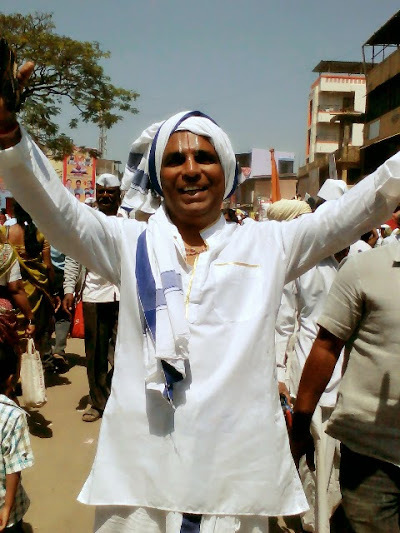 PUndalaikan who hailed from south India along with his parents, wife and children undertook a yatra to Kasi. As his parents couldn’t withstand the long journey, they stayed on the banks of Bhima river in the present Pandharpur. Pundalikan changed the course of river so that it would pass by his hut to enable his parents for bathing. The shape was in the shape of crescent and hence the river came to be known as “Chandrabhaga” river. Lord Krishna who was then ruling Dwaraka,learnt from Narada about Pundalikan who was serving his parents and personally visited his hut to bless him. Pundalikan could not immediately get up and receive the Lord because his parents were resting on his lap. When Lord Krishna called him, Pundalikan replied that he couldn’t come and receive the Lord of the Universe and requested the Lord to wait for him till he finished. He requested the Lord to stand on a brick which was laying nearby. Indra to atone for his brahmahathi dosham took the form of brick and was eagerly awaiting Lord’s arrival so that the Lord would place HIS holy feet. As the Lord was waiting for long time outside his house, HE slowly put HIS hands on the waist and was observing Pundalikan’s activities. Pundalikan was happy to see the Lord and prayed to HIM to stay there forever. Rukmini ,SAtyabhama who came in search of the Lord were happy to see the form of the Lord , assumed the same posture and blessed Pundalikan. AT the behest of Pundalikan, Lord resides here and gives darshan. As Lord stands on Vittu(brick) , HE is known as Vittalan. The place where the Lord stands is the present temple. Pundalikan and his parents attained Lord’s feet and their samadhis were constructed on the banks of Chandrabhaga river. There are two samadhis- one is of Pundalikan where a copper image of Pundalikan’s face is worshipped on the Samadhi. Behind is his parents’ Samadhi. 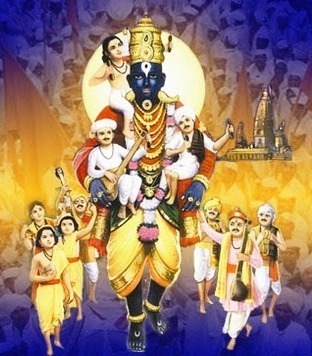 The beautiful painting of Lord Vittalan carrying Namdev and Jnaneswar on HIS shoulders and other devotees clinging to the Lord attracts everyone’s attention. Few photographers have kept small vigrahams of Vittal-Rakumayi and the devotees take photo along with them. The main entrance to the temple is known as “Namdev pairi”. This is the place where the great bhakta Namdev, who could converse and play with the Lord attained Samadhi. 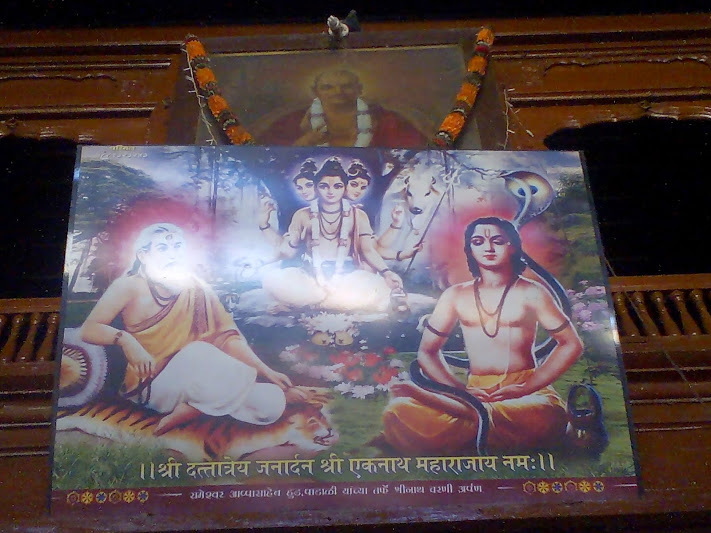 A vigraham of Namdev’s face is placed at this place. Along with Namdev, 14 of his family members attained Samadhi at this place whose names are mentioned on the nearby wall. Near the entrance to the temple, we can find Chokamela’s Samadhi facing the temple. Chokamela was an outcaste whom Lord loved and would personally go to his house after the temple doors closed after sayana aarthi. Chokamela like Chaitanya Mahaprabhu always used to be in ecstasy singing, dancing, clapping hands, crying, and was always immersed in Lord’s thoughts. As the Lord was invisible to others, seeing Chokamela’s acts, the people branded him “mad”. The Lord would happily converse with Chokamela. (This reminds us of the great bhakta, Haathiraam Bhabha in Tirumala with whom Lord Srinivasa used to play dice every night after Ekantha seva and return to temple during Suprabhatam). Once Chokamela desired to see Lord’s house . The Lord took him inside the garbagriham with his maya after the temple was closed. They spent the whole night conversing with each other and when the temple doors were opened the next morning, the pujaries were shocked to see Chokamela inside the garbagriham. The priests informed that the mad person had now entered the temple premises to the king who ordered him to leave the place and never to enter the temple again. Chokamela was not at all disturbed with this order and moved along with his wife to the other bank of Chandrabhaga . The Lord continued to visit him daily. Fasting on Ekadasi is followed by all the Vaishnavas as per shastras . On Dwadasi, the vaishnava has to feed someone and then break the fast. In Pandirpur, Ekadasi vrutham is observed by everyone and they follow this practice of feeding someone on Dwadasi. 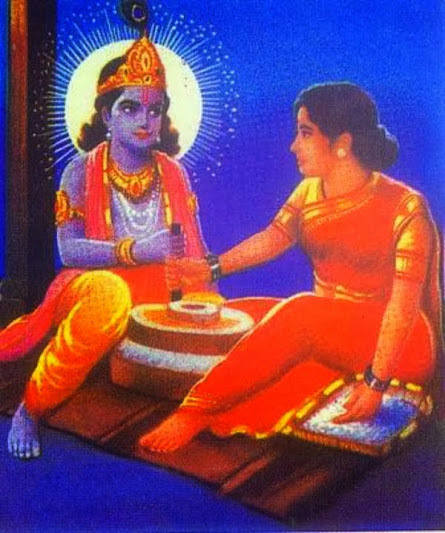 On one occasion, Chokamela desired to feed Krishna on Dwadasi day . The Lord immediately accepted his request and visited his house on the following day along with Rukmini , Namdev and Indran. Chokamela’s wife was serving the guests with the prasadam when accidentally curd pot fell down spilling over Lord’s peethambaram. Chokamela chastised his wife for this behavior while the Lord simply smiled. The Lord wanted to show the world Chokamela’s bhakti. At the same time, mid-day neivedyam was being offered to the deity in the temple when the priests were shocked to see curd on Lord’s peethambaram. Few people who happened to converse with Chokamela learnt from him that Lord HIMSELF had come for partaking lunch in his house and about the curd incident. They informed the priests about the incident who immediately approached Chokamela’s house and begged for forgiveness. This incident in the form of photograph is hung in Chokamela’s Samadhi. Chokamela was always immersed in devotion to such an extent that when he left his mortal body, Lord ordered Namdev to perform the last rites. When the remnants of the burnt body along with the bones were brought by Chokamela’s relatives, they observed that the burnt bones danced hearing Hari Naama sankeertana. Lord instructed the ashes and the bones to be kept in a Samadhi facing HIM so that Chokamela’s remnants could always have Vittal’s darsanam. On the left side towards Namdev Dwaar, the main entrance to the temple, we find Narahari Sona’s Samadhi and opposite is the Mallikarjuneswar’s sannidhi. Narahari Sona ,a goldsmith by profession was a staunch Siva devotee differentiated the forms of Vishnu and Shiva. He was against worshipping/ thinking/ hearing about the presiding diety. Lord, who is Jagan naataka Sootradhaari, has HIS own way of bringing everyone to HIS holy feet. Lord wanted to remove his illusion and enacted a divine leela. A rich person in the neighbouring village who was childless prayed to Pandurangan for progeny promising the Lord that he would offer a golden kavacham for Lord Vittalan. In due course, the rich man’s wish was fulfilled and he wanted to fulfill his wish. Everyone referred to Narahari Sona, the goldsmith living in Pandirpur as he was an expert. Due to the divine intervention, Narahari Sona accepted the order but after learning that it was for the Lord whom he hated , he was hesitant. Lord prevailed upon the rich person luring him that with the huge fee which he would get, he could renovate the Mallikarjuneswara Swamy temple . Sona felt that his long cherished desire of renovating his God’s templke could be fulfilled and ceepted. He finally relented to the rich person with a condition that someone has to get the Lord’s measurements as he would not enter the temple. The rich person agreed to this and the measurements were given to Sona who made a wonderful kavacham for the Lord. The rich man on an auspicious day offered it to Lord but when the priests adorned, it did not fit correctly and was big for the diety. The richman asked Sona to make the necessary changes and tthis time the kavacham didn’t fit the diety. The rich man started abusing Sona who was now forced to personally take the measurements. As he had taken a vow not to place his feet inside the temple and also see the Lord, the richman ordered 2 persons to carry Narahari Sona inside the temple with blindfolded eyes. When Narahari Sona started measuring the dhivya mangala thirumeni of the archa murthi, he suddenly felt naagam on the neck, tiger skin on the body, rudraksham on the neck. As these things are adorned by Shiva, he felt that the vigrham was that of Shiva and opened his eyes. Immediately, the Lord gave darshan as Pandurangan. Looking at Pandurangan, he immediately closed his eyes and once again attempted to take the measurements. This leela was repeated. With closed eyes, he could visualize Shiva and with eyes open, he had Pandurangan darshan. Thus his ignorance was removed by the all-compassionate Lord and he became a great devotee of the Lord. We then drove to Gopalpuri which is about 6 kms from Pandirpur. The house turned temple is situated on a small hillock. The inmates sitting in the various sannidhis force us for money. So, we need to be careful. 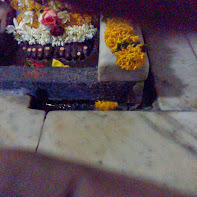 Here the vessels used by Janabai in Namdev’s house which had Lord Vittalan’s karana sparasham(touched by Lord’s hands) , the stone grinder etc can be seen. Janabai who had come to Pandirpur with her parents lost them in the crowd when she was a small child. Seeing the crying child, Namdev gave shelter to her. Namdev was an embodiment of bhakti who could see and converse with Vittalan. Vittalan used to visit him daily. In that conducive environment, Janabai’s bhakti developed. She always used to sing the Lord’s beauty while doing work. Lord used to help her in cooking and used to grind flour for her in the stone mortar while she would be lost singing HIS divine beauty. This incident in the form of a picture is hung on the wall. Janabai’s bhakti was like that of Andal and Mirabai. Lord always used to relish and recap her abhangs . In the same premises, a few steep steps inside a cave leads us to a small place where the idols of Vittalan and Sakkubai are kept. Sakkubai with folded hands and Vittalan give darshan. Rs.5/- per head is charged for entry into this. While Sakkubai was still a child, a senior devotee who was going to Pandirpur handed over a tambura to her and gave her mantra which she used to always contemplate upon. She always desired to go to Pandirpuram to have Vittalan’s darshan. In due course, she was married to a person and started to live in Karaveerapuram, the present Kolhapur serving her inlaws and husband. She was always lost in thought of Pandurangan and was not at all interested in material life. Unmindful of the inflictions by her atheist inlaws, she used to discharge all her household duties while thinking of Pandurangan always. Once when she went to the river to fetch water, she saw a bhajan group proceeding to Pandirpur. The group was led by the devotee who had earlier given Tambura to her. Lost in the thoughts of Pandurangan, she joined the group and reached Pandirpur. Meanwhile, Pandurangan assumed her form and did all the chores at Karaveerapuram. Noone could guess that it was the Lord in the form of Sakkubai who was with them and served for many months. She was in ecstasy looking at the divine form of the Lord and gave up her body. Rukmini devi, the divine consort of the Lord was perplexed at this incident. She ordered Sakkubai’s body to be brought to her and the Jagan Maatha , the Universal Mother gave life to Sakkubai. Rukmini Devi revealed about the Lord’s act to Sakkubai and advised her to return to her village so that the Lord could come back to Pandirpur and give darsanam. Sakkubai obeyed Mother Rukmini’s orders. The original Sakkubai met the Lord on the banks of the same river where she left earlier and sought forgiveness for the trouble. Lord gave her darshan in HIS Resplendant form and blessing her left the place. 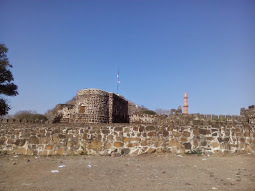 In our trip, we went to Kolhapur to visit this place. No one whom we enquired could guide us and so had to remember her in Mahalakshmi Thayar’s presence. While returning to Pandirpur, we first visited Gora Kumbar Samadhi mandir in a small lane. In the big hall in front of the Samadhi, we can find beautiful pictures of Vittalan and HIS various leelas. In front of the Samadhi, on the left side, we find a beautiful picture of Gorakumbar singing in ecstasy while stamping the clay and his child clinging to his feet. Opposite to him, we find Gorakumbar’s wife. Inside the altar , we find the Samadhi of Gorakumbar with a copper head being worshipped and images of Pandurangan,Rakumayi. Gora Kumbar , a potter by profession lived in Teri village in Osmanabad district along with his wife Tulasi and child-Hari. He used to be so immersed in bhakti that he would not know what was happening around . Once it so happened that his wife went outside to fetch some ghee for the infant and left the child in Gorakumbar’s custody. 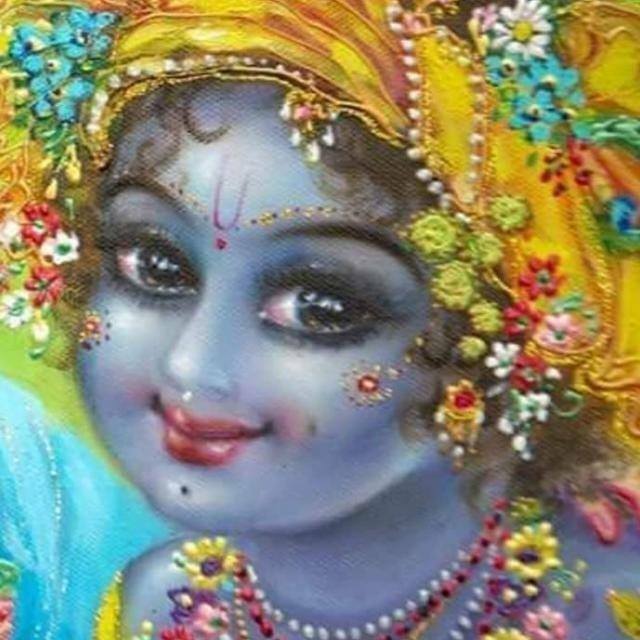 While stamping the clay for uniform consistency to make pots, dark clouds formed in the sky seeing which Gora Kumbar was lost in Krishna’s beauty and was singing in ecstasy. The lighting and the downpour startled the little child who crawled and clasped Gora kumbar’s feet. While mixing the clay with his feet, Gora Kumbar was completely lost in Lord’s thoughts with his hands raised above his head and was visualizing Vittal everywhere. Unknowingly, the child got caught in between his legs and in due course was crushed to death. Gorakumbar’s wife who returned after the rain subsided was searching for the child and to her dismay saw the remains of the child mixed in the clay. She shouted at Gorakumbar and brought him to senses. Angered by the thought that because of Lord Pandurangan, her husband was lost in devotion, she proceeded to hit Vittalan. Gorakumbar attacked his wife to stop her from doing apachaaram and was about to hit her. To save herself, she proclaimed promise on Vittalan that he should not touch her. Gorakumbar refrained from this act and tried to pacify her . A devotee who came to have darsanam in Pandirpur observed that there was no saanidhyam (presence of the Lord) in the temple. Only the idol was there. He contemplated on Lord to reveal HIS presence and learnt that the Lord was in Gora Kumbar’s house serving him. He immediately rushed to Gora’s house for having darsanam of the Lord. Through him, Gora learnt that the boy who was serving him was none other than the “BHAKTA VATSALAN PANDURANGAN”. The boy had disappeared from the house. Gora went in search of the Lord to Pandaripuram along with his family and pleaded the Lord to give him darshan. With HIS cool benevolent grace, the Lord not only gave him darshan but also revived his dead son and Gora’s arms. Such is the soulabhyam of Lord Pandurangan. Gorakumbar stayed in Pandirpur composing abhangs and involving in devotional service and finally attained the Lotus feet of the Lord at Pandirpuram. 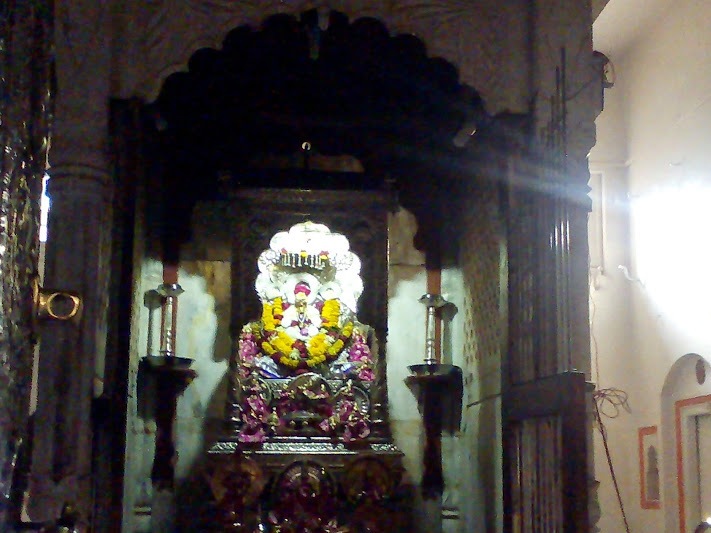 This Samadhi mandir is situated in a small lane and is easily accessible. Contemplating on Gora’s bhakti , we proceeded to the next lane to have darsanam of Namdev, another foremost devotee. While Namdev does kirtan, Pandurangan used to dance. Once when there was a heavy downpour in Pandirpur, Namdev’s old dilapidated roof was giving way. To save HIS devotee from getting drenched, Pandurangan’s sudarshana chakram acted like an umbrella under the roof and the Lord HIMSELF was holding the walls from giving way thereby getting drenched. Jaana bai was perplexed and fortunate to see the Lord’s act. Presently, Namdev’s house is a two storey building and in the ground floor, we can darsanam of Pandurangan. Every day, devotees assemble in the big hall and do kirtan. The inmates informed us that Namdev invited Pandurangan to have lunch on a Diwali and the Lord had “sweet puris” in their house. 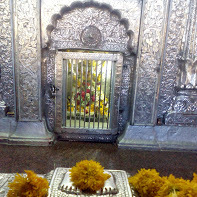 At the entrance, there is a separate sannidhi for Namdev holding Tambura. We then proceeded to Tukaram mandir. 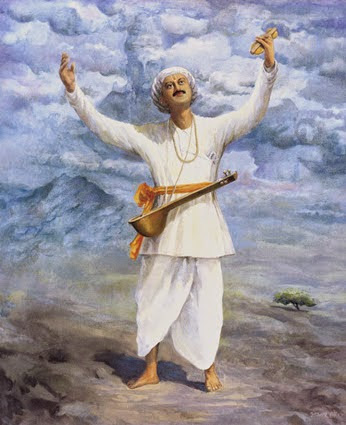 Sant Tukaram lived in Dehu and left for Vaikuntam from Dehu. As mentioned earlier, we were lucky to have darsanam of Tukaram at Dehu on his disappearance day celebrated as “Tukaram Beej”. 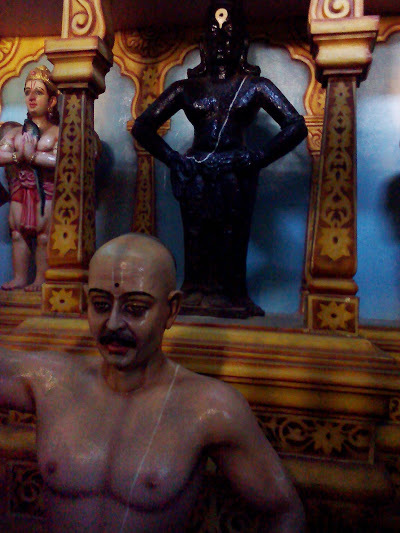 Tukaram’s vigraham is being worshipped here . The caretaker informed us that during AAshada Yatra, the pilgrims who carry Tukaram’s paalki from Dehu reach this place and stay here to have darshan. In the big hall in front of the sannidhi, devotees gather everyday to do kirtan and sing Tukaram’s abhangs. The holy mantra “ JAI JAI RAMAKRISHNA HARI” which Tukaram Maharaj always used to meditate upon was softly being played in music system. Few devotees holding Tambura and standing in the hall were softly singing the abhangs. After having darshan of the important places, we returned to ISKCON at about 1300 hours .The Lord once again graced us as we were fortunate to have “Rajbhog prashadam” of nearly 15 items -rice,rotis, 5 types of vegetables, sweets, payasam ,curd etc which is otherwise not given. We learnt from the auto driver that Kurmadasar’s Samadhi at Laul and Sant Savantamaali’s Samadhi at Aaran were on the way to Kurduwadi. Kurduwadi is about 1 hour journey from Pandirpur but to visit Laul and Aaran, we need to go by vehicle. Initially, we had booked our return train ticket from Solapur to Secunderabad . The tickets were waitlisted and we were not sure whether the train originating from Mumbai would have enough quota for the tickets to get confirmed. Just 3 days ahead of our trip, a divine will from our Perumal sannidhi prevailed upon to check ticket availability from Kurduwadi. And lo! Confirmed tickets were available. Now we realized the divine plan of the Lord. 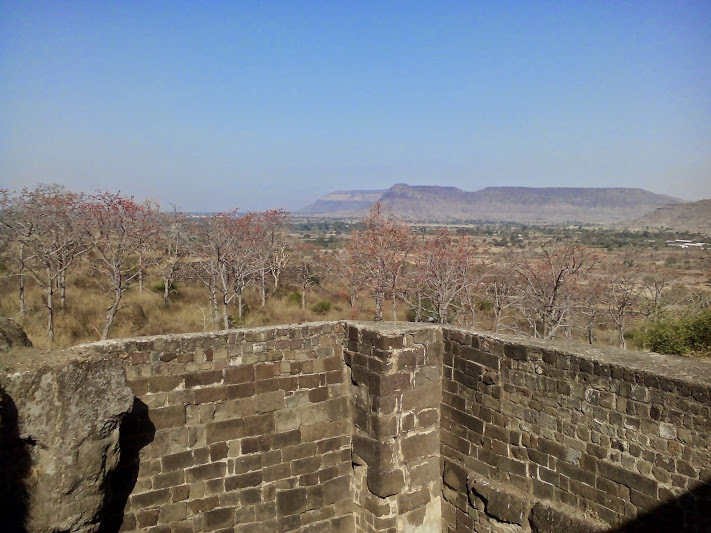 It may be noted that Pandirpur is about 80 kms from Solapur and about 41 kms from Kurduwadi. As we were familiar with Solapur, we initially booked ticket from that place . Who can understand Lord’s playing. Lord wanted us to have darsanam of another two great bhaktas and enacted this plan. Reached Aaran , the place where a gardener by name ,Sant Savanta Maali was granted darsanam by Vittalan. This place is about 32 kms from Pandirpur on the way to Kurduwadi. This incident is always referred along with Kurmadasar. Kurmadasar, another devotee of Pandurangan who lived in Paitan(Prathistanapuram) about 450 kms away from Pandirpur desired to have darsanam of the Lord on HIS appearance day-Aashada Ekadasi. As he had tiny limbs, he couldn’t walk and used to literally crawl. One year before Aashada Ekadasi, he undertook the yatra. Many discouraged him and mocked at him for this tedious task. But as he was firm in his devotion, he started off on Pandirpur yaatra. Every day, he could crawl for about only 7-8 kms and take rest. Lord Pandurangan was moved by his act and personally came to serve him. The Lord used to accompany Kurmadasar and help him in his journey, cook food for him, wash clothes, make all necessary arrangements for rest and would leave him. Next day, HE would again reach the place where Kurmadasar was halting and do all the services including pressing his legs. In this way, Kurmadasar took almost a year to come upto Laul. He was now totally exhausted and couldn’t move even an inch. He cried piteously watching the varkaaris go to Pandirpur for having darshan on the following day, Aashada Ekadasi. The plight of Kurmadasar was too much for the Lord to bear. The Lord alongwith Namdev and Jnaneswar set out of the temple to give darsanam. When the trio reached AAran, the Lord suddenly disappeared from Namdev and Jnaneswar and approached SavantA maali, the gardener who was making garland for Vittalan . 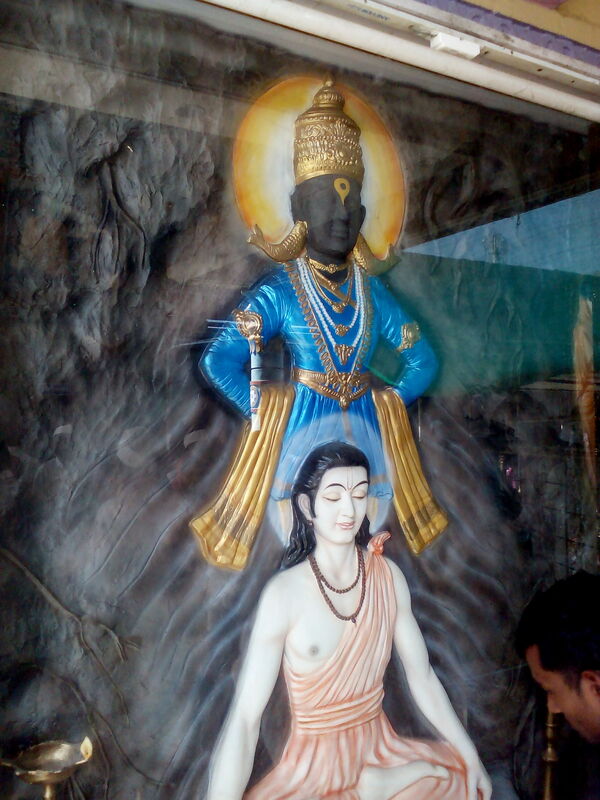 The Lord requested SAvanta Maali, who was a great devotee to protect HIM from two thieves-Namdev and Jnaneswar. Savanta maali who understood that it was the Lord, put the garland on Vittan and requested HIM to occupy his heart which was the darkest place. Lord entered Savant Maali’s heart . Namdev and Jnaneswar entered the garden in search of the Lord. Looking at Savanta Maali’s face which was glowing, Jnaneswar understood the Lord’s whereabouts and prayed. Thus, Vittalan gave darsanam to this gardener. Lord gave darshan to Savant Maali who attained the Lord’s lotus feet. A beautiful temple has been constructed here which was once a garden. In the sannidhi, we can find Savantamaali’s face on the Samadhi and Panduranga-Rakumayi’s vigraham behind. Pictures of Savanta Maali with the Lord in his heart can be seen. Drove to Laul which is about 5 kms from Kurduwadi and about 14 kms from AAran. The location of Aaran,Laul and Kurduwadi are in triangular shape. We reached Kurmadasar’s sannidhi at about 4 P.M. After giving darshan to Savant maali, the Lord along with Namdev and Jnaneswar proceeded to the place where Kurmadasar was suffering with pain. This place is at Laul. The compassionate Lord took Kurmadasar on HIS lap (like how Lord Rama put Jatayu on HIS lap at Taket) and caressed him. By having darsan of the Lord, Kurmadasar was relieved of all his bodily inflictions and prayed to God to give him moksha at this place. When we visited this place, a marriage party were just leaving the temple. This Samadhi mandir is very different from what we had seen earlier. On the walls of the big hall in front of the Samadhi, Krishna leelas and Vittalan leelas are painted. The Samadhi mandir is very dark inside. There is a narrow,small entrance to the sannidhi and one has to completely bend down to get inside. We can find vigrahams of Pandurangan and Rakumayi and in front of them, we find the Samadhi. Unlike other temples where the face of the devotee is worshipped,here we do not find any such thing. What we find is a small bund covered with a green cloth like a tortoise shell similar to the ones which we see in Muslim dhargaas) . A devotee informed us that this place was like a forest and during Muslim rule, a sepoy who was passing by suddenly saw a light from this place. He attained tranquility at this place and as a thanks-giving, covered the Samadhi with a cloth . It is believed that Kurmadasar’s presence at this place can be felt by the devouts even today. Later a temple was constructed and once again stands as a proof for Hindu-Muslim unity. A very small siva lingam and Hanuman are kept in the hall. Both Hindus and Muslims throng to have darsanam of Kurmadasar here. This marks the end of our Bhajey Panduranga Bhaagavatha yaatra. All glories to the Spiritual masters . .All glories to the holy dhaam . Soolipanjan:- 10 kms beyond Grushneshwar- a small hillock which was Eknath’s meditation place, temple of Dattatareyar, Janardhana Swami and Eknath, the musical rock . Nevasa:- known as “Nevasa Phata” is about 65 kms frim Aurangabad on Pune highway. 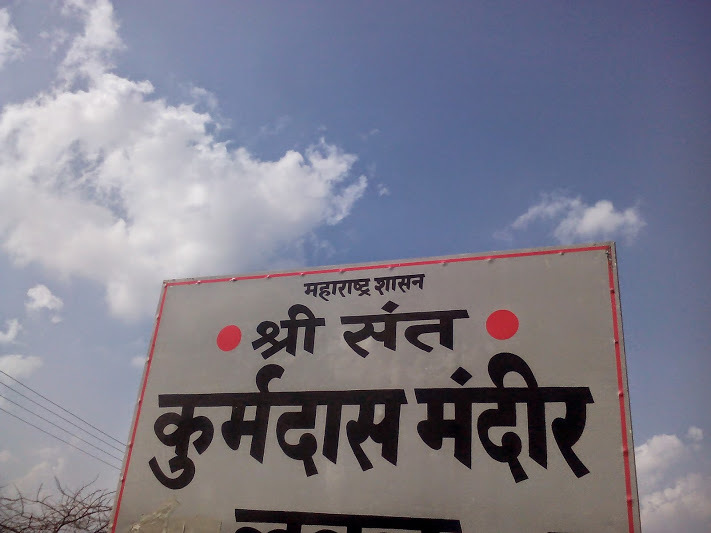 The Kalleshwar mandir at Nevasa is about 7 kms from the bus stop. Here the pillar which served Jnaneswar as support while he was giving commentary on Bhagavad Gita known as “Bhaavartha Deepika” is worshipped along with the Siva lingam. The commentaries given by Jnaneswar Maharaj popularly known as “Mouli” here was penned down by his disciple Sachidanandam and the buffalo which recited the Vedas in Paithan used to nod its head. 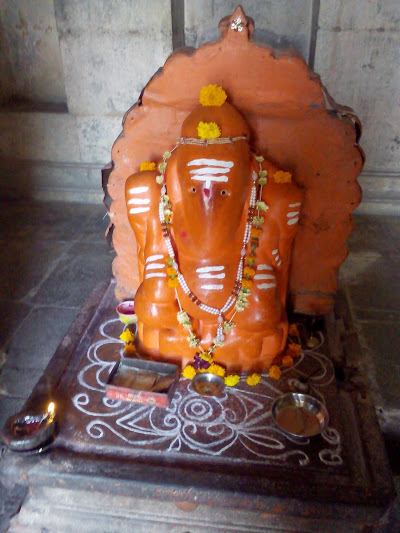 Triyambakeswar:- 30 kms from nasik-one of the 12 jyotir lingas. About 2 kms from this Shiva temple on the way to Godavari origin, a small temple for Nivrutti where he attained Samadhi is there. As we didn’t know the exact location, we skipped this. This was informed by a devotee. (From Aurangabad, we can take a train to Nasik, visit Triyambakeswar and then proceed to Pune. 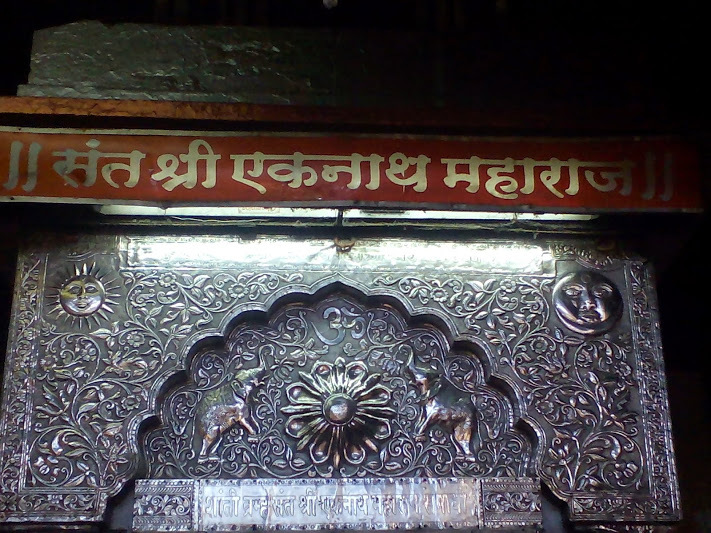 Alandi:- samadhi mandir of the most renowned Maharashtrain saint ,Sant Jnaneswar Maharaj is about 22 kms north of In the huge temple complex, we can have darshan of the samadhis of Jnaneswar Maharaj, buffalo, the rare tree known as “Ajanavruksh” under which he took Samadhi, the banyan tree which Jnaneswar’s mother used to circumbulate 1008 times daily, the palanquin on which Jnaneswar’s padhukas are placed which is used by the varkaris for going to Pandirpur for Aashada Ekadasi, the beautiful vigrahams of Rakumayi-Pandurangan, Muktabai sannidhi, Siddheshwar sannidhi. Devotees sit in the big hall outside the Samadhi mandir and keep on reciting Bhaavartha Deepika. Dehu:- about 30 kms north of Pune(slightly on the north-western side) . Through Dehu-Alandi road, we can commute to both the places which is about 25 kms . However, this route is closed on busy days like Tukaram Beej. All the places here are connected to Tukaram Maharaj. We can have darshan of his house, the place from where he left for Vaikuntam, Bandaara Hills which is about 8 kms from this place where he used to often meditate. 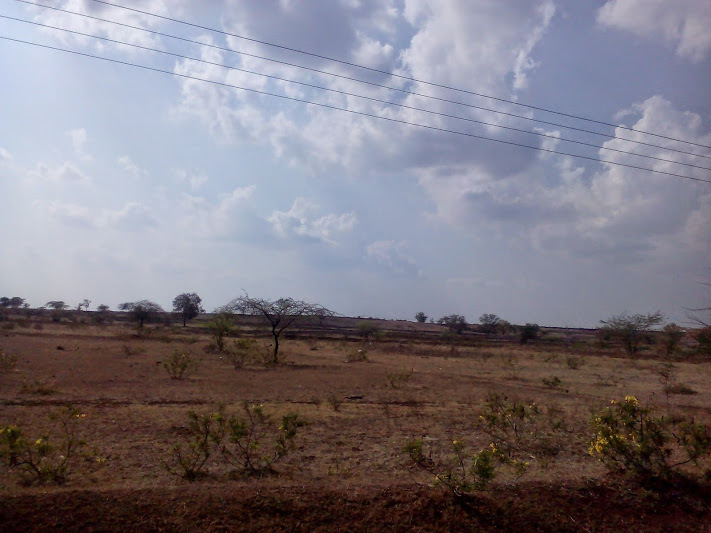 Saswad:- about 30 kms south of Pune on Pune-Pandharpur road. Muktabai attained Samadhi here. This was informed by a devotee. As we didn’t know about this, we didn’t visit this place..
Keeping Satara as base, we can visit Sajjan gad and Uttara Chidambaram temple. ISKCON has its centre here (contact:- 08806619098/09881252581) for any information. There are guest houses near Uttara Chidambaram temple. Sajjan gad :- about 130 kms south of Pune and about 20 kms from Satara. Nearest town is Satara. It takes about 3 hours from Pune to reach SAtara because the vehicle has to travel through ghat roads. In Sajjangad, we can find Samartha Ramdas Samadhi, Sriram mandir, the articles used by the great saint who was an incarnation of Hanuman. The temple is situated on a hill and we need to ascend about 100+ steps . Dolis are also available. Pandirpur:-In Pandirpur,Chandrabhaga river, Pundalikan’s and his parents Samadhi on the banks of Chandrabhaga, Pundalikans’ house which is the present Vittal mandir, at the entrance, we can find the samadhis of Chokamela, Namdev along with his 14 family members, Kaangopatra who assumed the form of a tree is in the temple premises, Namdev’s house which houses a beautiful vigraham of Pandurangam and a separate sannidhi for Namdev, Gora Kumbar’s Samadhi temple , Narahari Sona’s Samadhi on the way to temple, Mallikarjuneshwar Swamy’s temple opposite to Narahari sona’s Samadhi, Tukaram temple where there is a beautiful sannidhi for Tukaram. The varkaris from Dehu along with Tukaram’s palanquin stay here during Aashada Ekadasi, Jnaneswar mandir where the varkaris with Jnaneswar’s palanquin from Alandi reach Pandirpur and stay, Kabirdas’ house and his son Kamaal’s Samadhi, Sakkubai and Janabai temples in Gopalpuri and of course, ISKCON Radha Pandirnath temple which has guest house accommodation.Decent accomodation is also available at Gajanand Ashram near the temple. 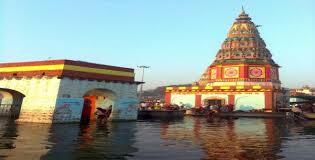 ISKCON is located on the other side of Chandrabhaga river .Autos charge about Rs.90/- to Vittal temple from ISKCON. ISKCON helps us in making vehicle arrangement even during odd hours. Aaran:- On the way to Kurduwadi from Pandirpur with a slight left turn after driving for about 9 kms from Pandharpur, we find the Samadhi mandir of Sant Savant Maali .this is about 32 kms from ISKCON Pandirpur. Adiyen offers countless dandaavats to the mahasants who were able to please the LORD to remain here in the wonderful dhaam . PUNE TO PANDHARPUR BOOK CAB, Book cab or Hire Taxi for One way or Round Trip at cheapest rates from Pune to Pandharpur With OntimeCars. Ram Krishna hari!! Very beautiful description of the places and very useful for devotees like us who are planning to visit these maha khsetrams shortly. Thank you so much. IT is great pleasure to know all sant information at one go. thanks to all those who put efferts to this blog. 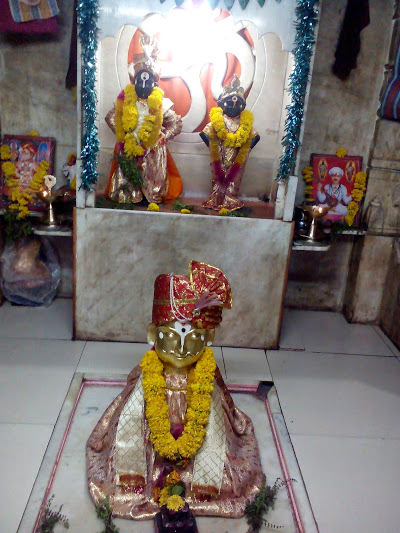 Gorious Darshan of Namdev, Eknath, Pandu Ranga Hari! Jai Ramakrishna Hari! No wonder You being the Sishya of Mudaliyandan are Blessed so much to visit these places & radiate to all others Souls who can never even Imagine to these Holy spots! Adiyen – Ramanuja Dasan – Jai Sriman Narayana! Jai Jai Ramakrishna Hari!” was the mantra practiced by Bhaktha Tukaram. This mantra made him scale to the highest spiritual speaks ever reached by any .He is the only person to leave to Srivaikunta with this material body ..
Sairaam,Aaaallll….gloris to the lovely dasa nu das blogger u r vitthala to me..as u this info to me lovely with love to all beings n non beings anu ahiyaan mahato mahiyaan…sairaaam..